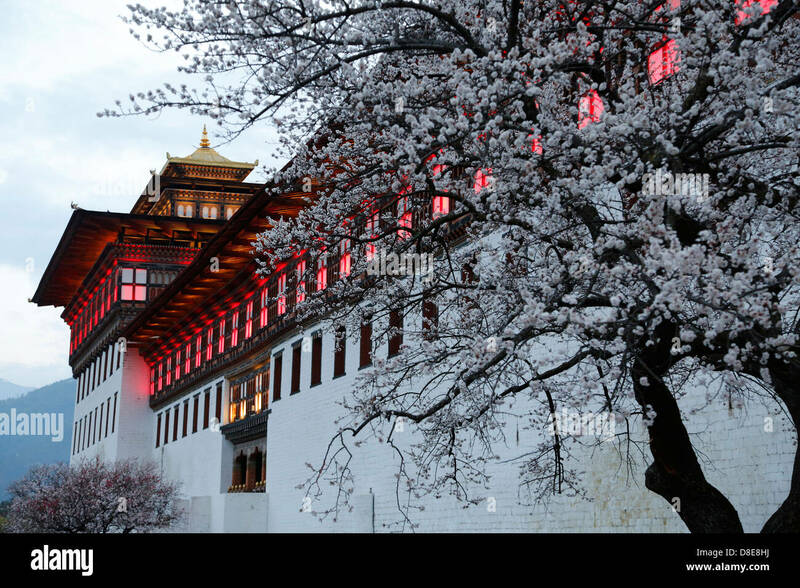 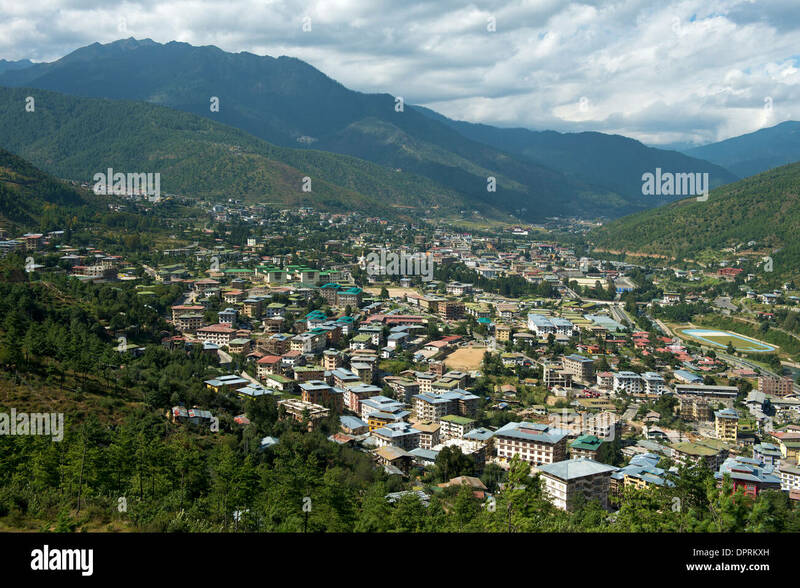 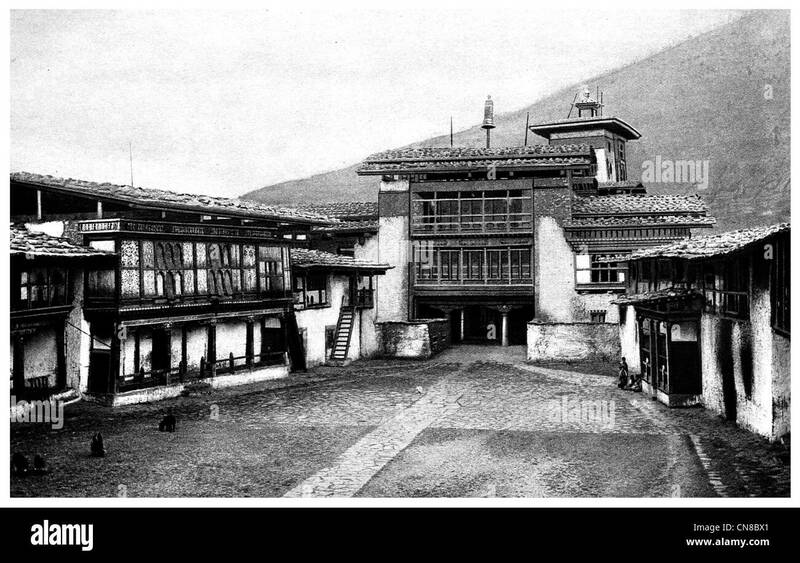 The capitol city Thimphu, Bhutan. 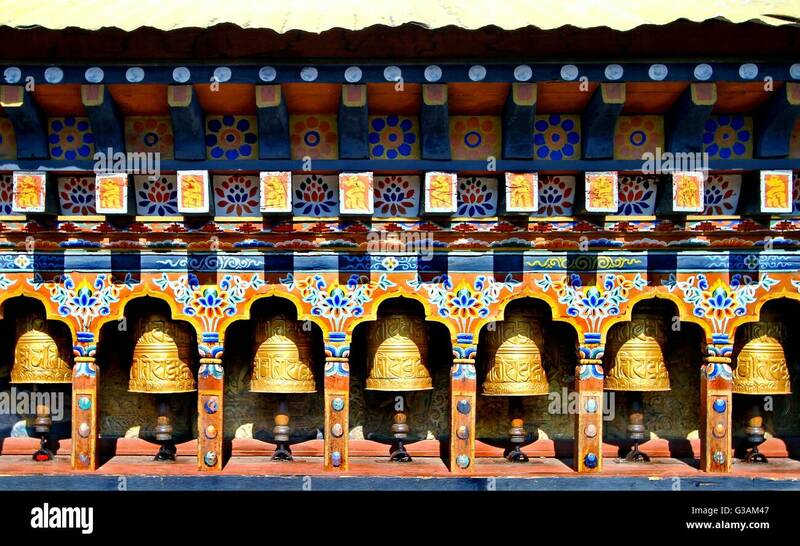 Prayer wheels along the streets of Paro, Bhutan. 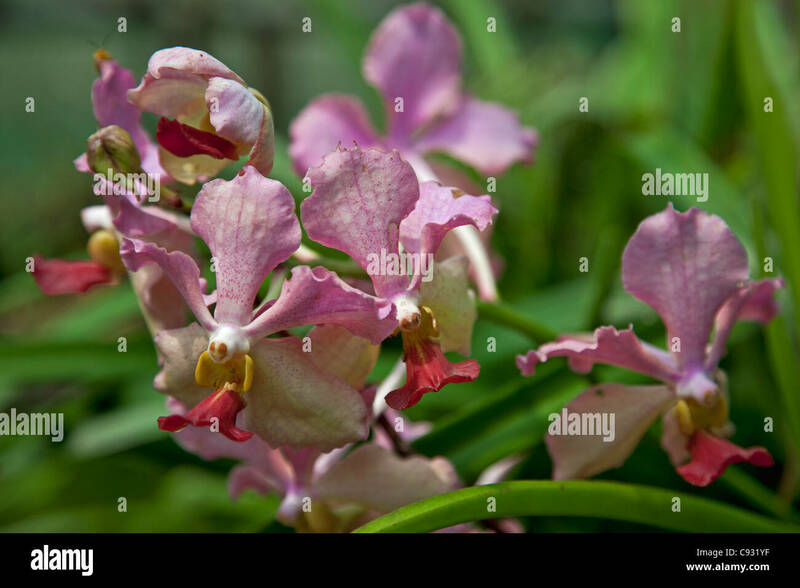 A beautiful orchid of the Vanda species. 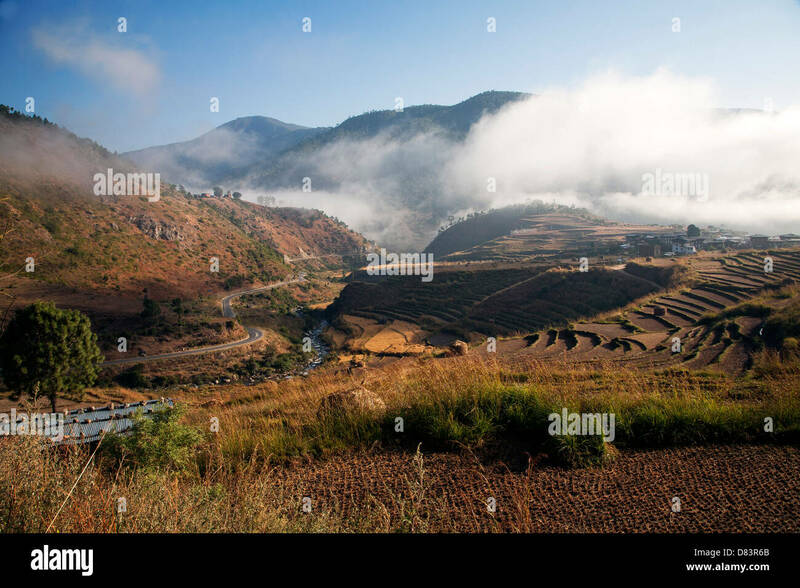 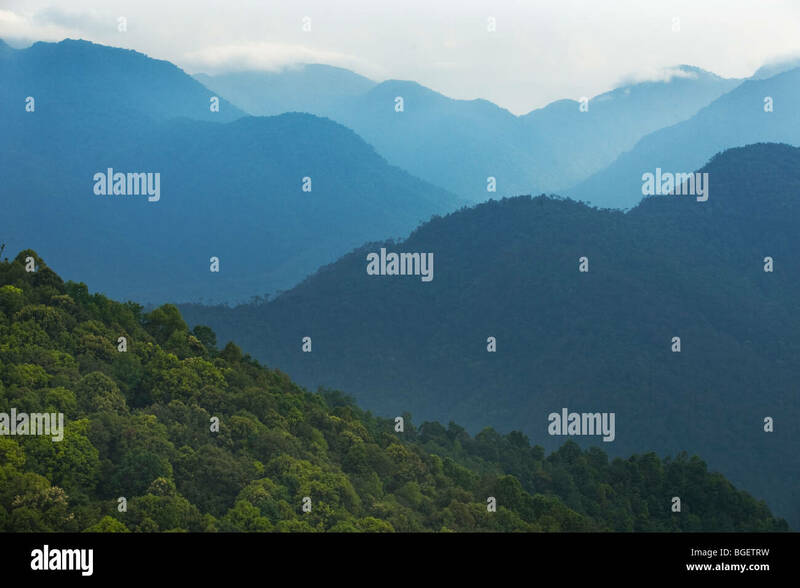 Morning fog burns of above the Punakha valley. 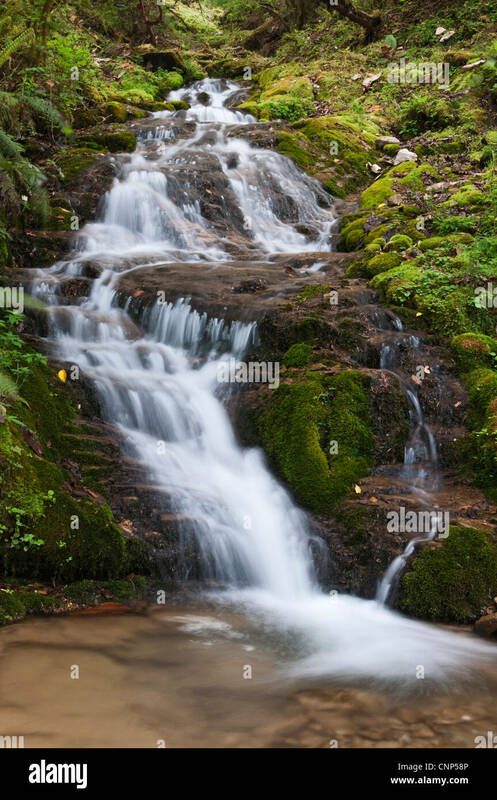 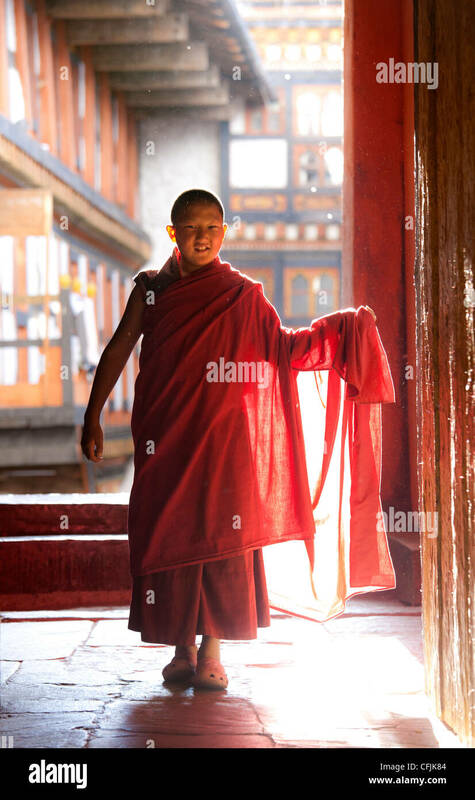 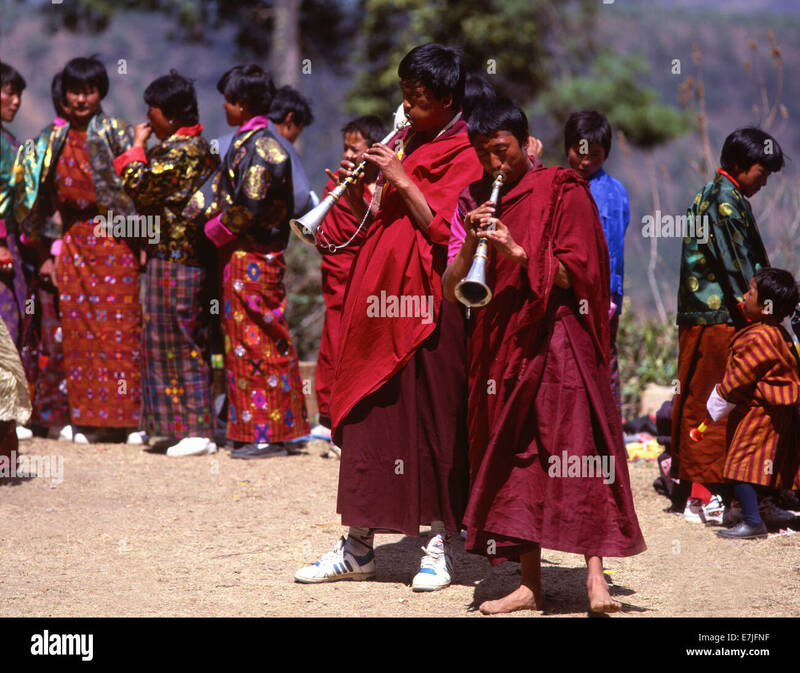 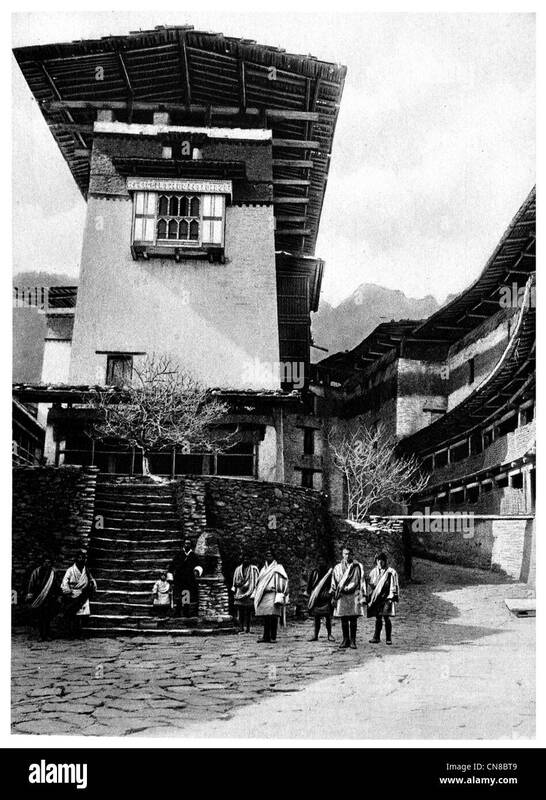 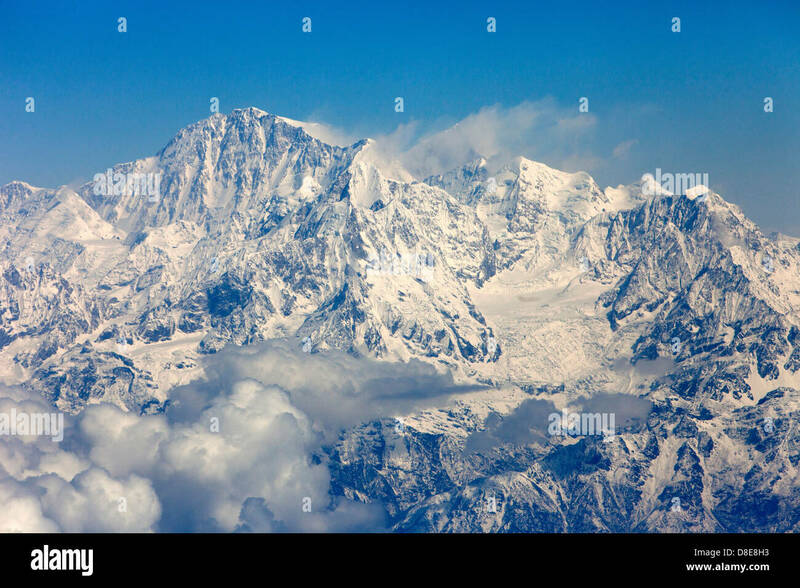 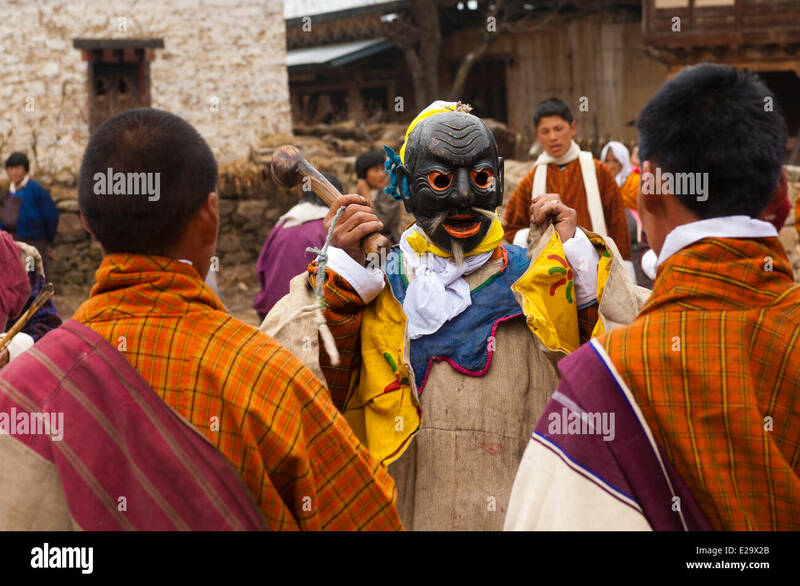 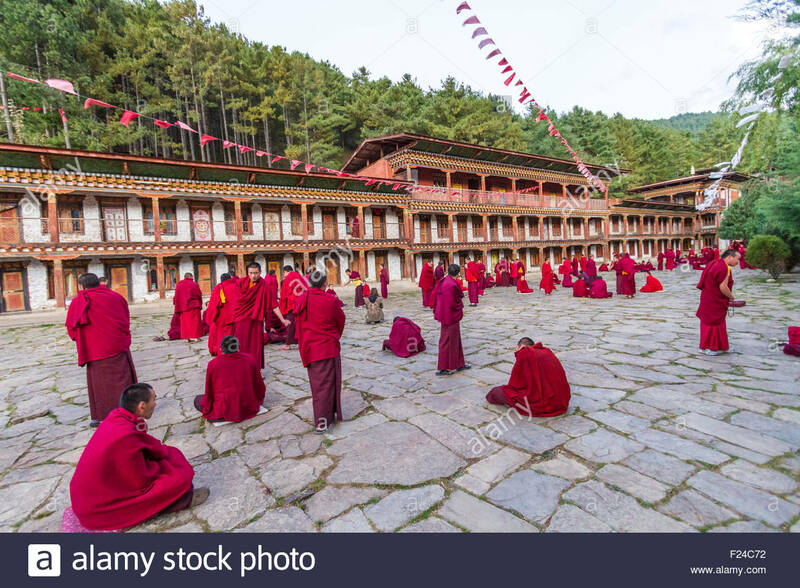 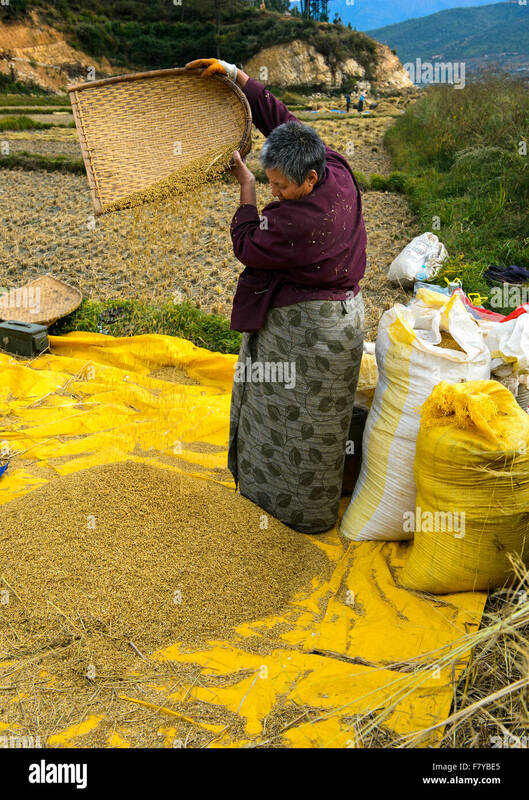 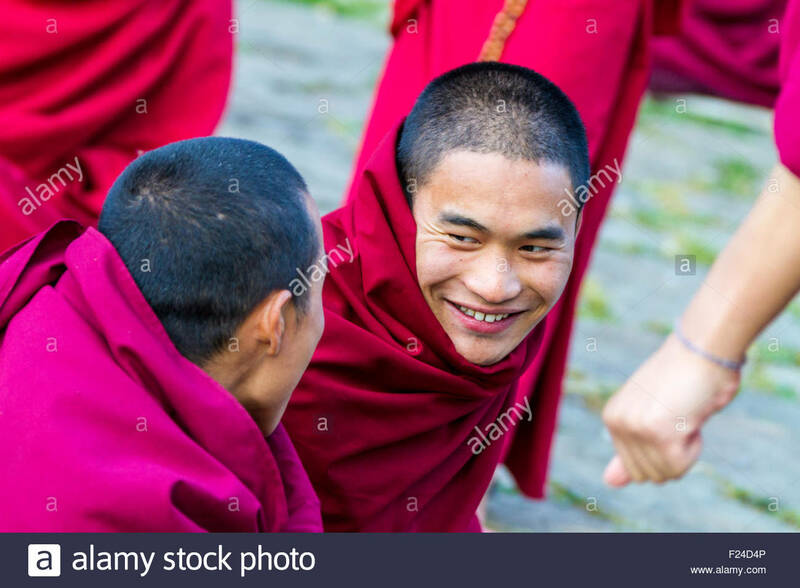 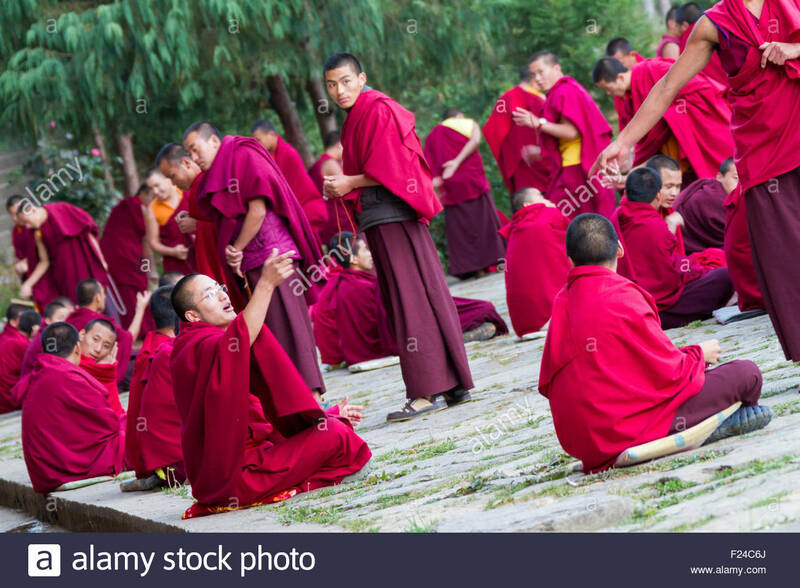 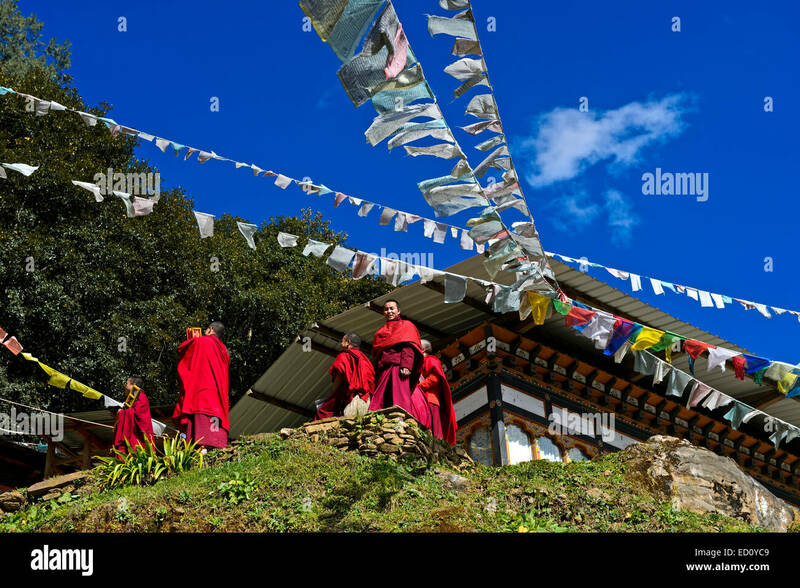 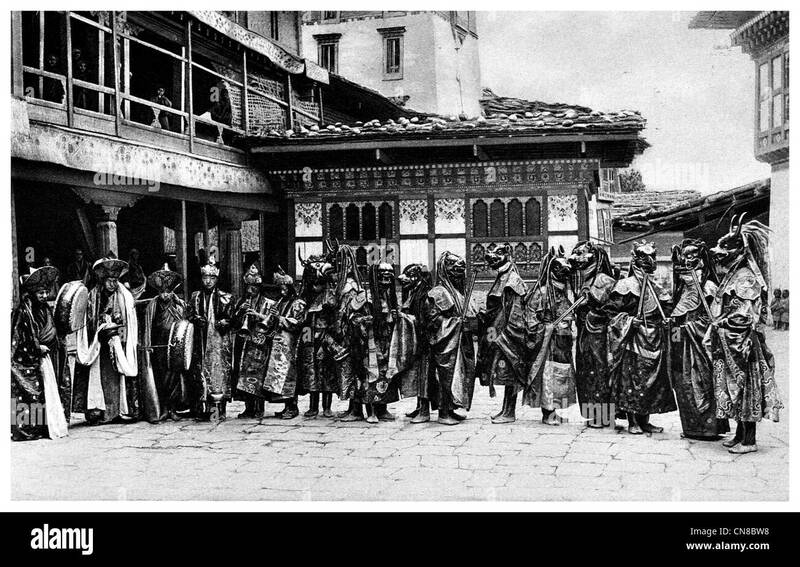 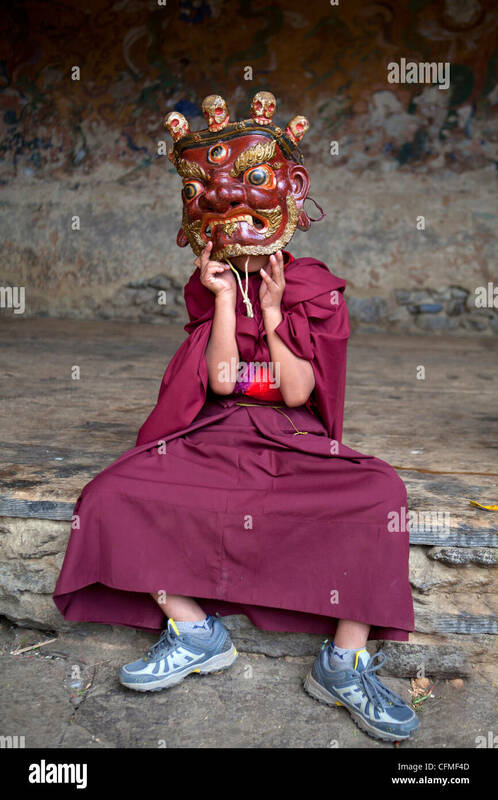 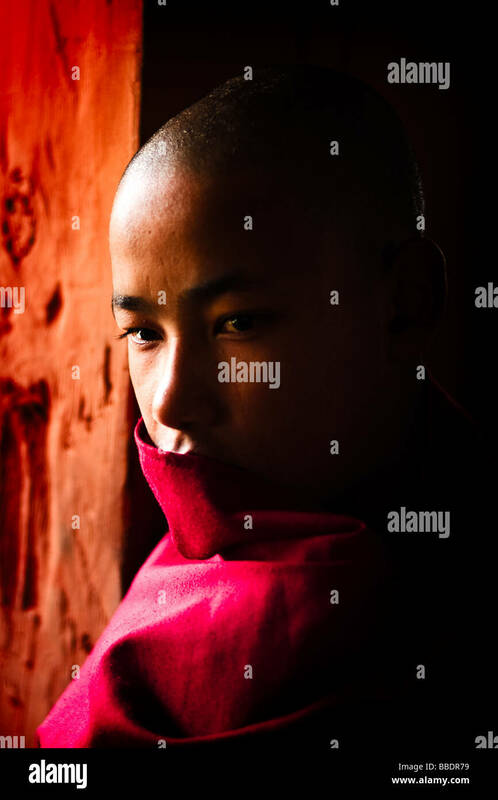 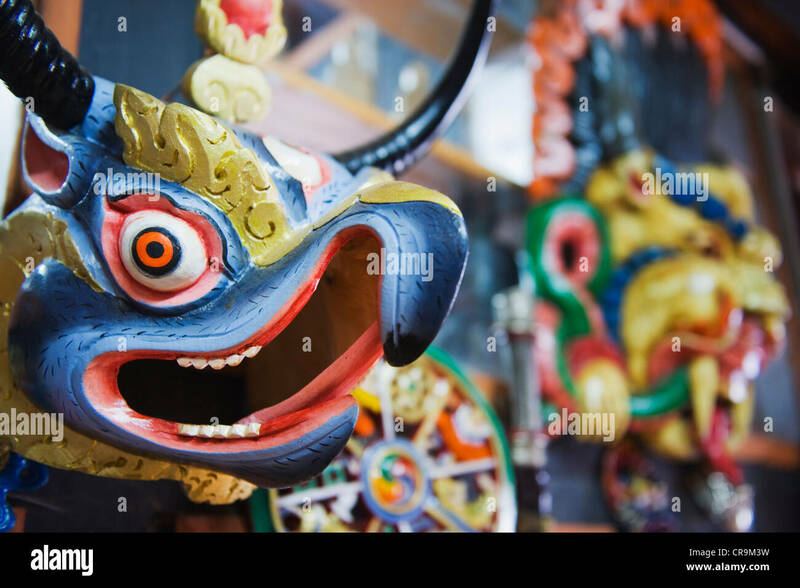 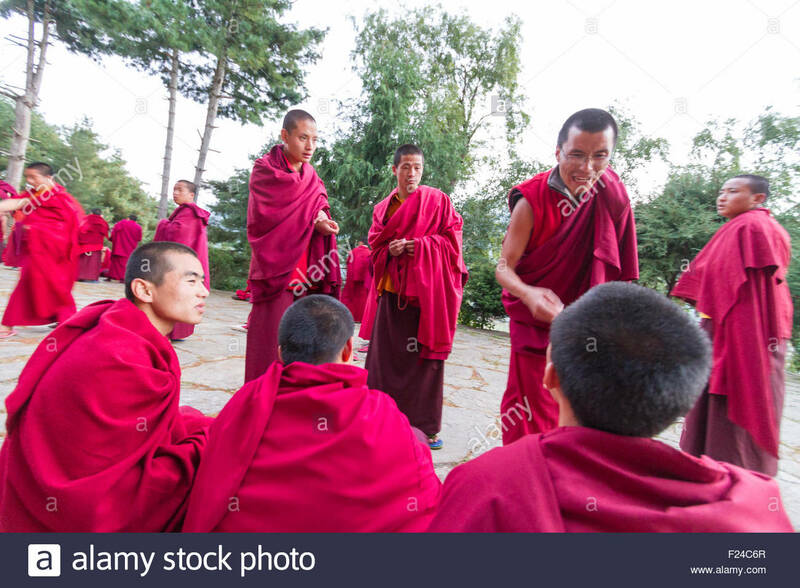 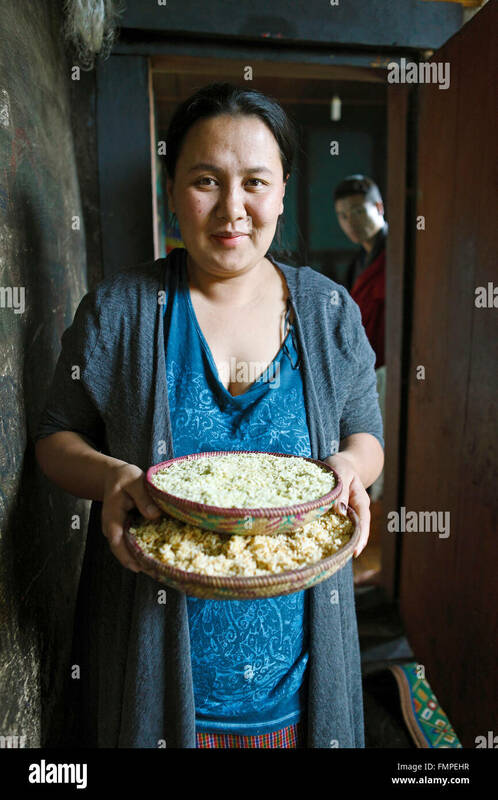 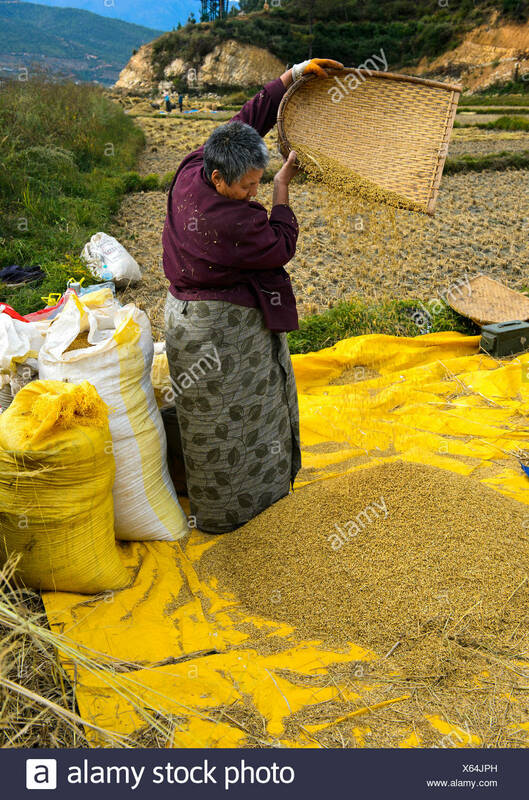 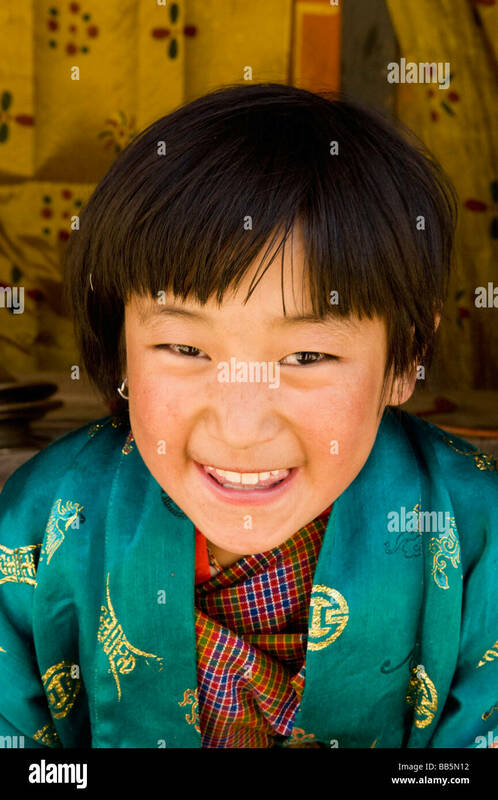 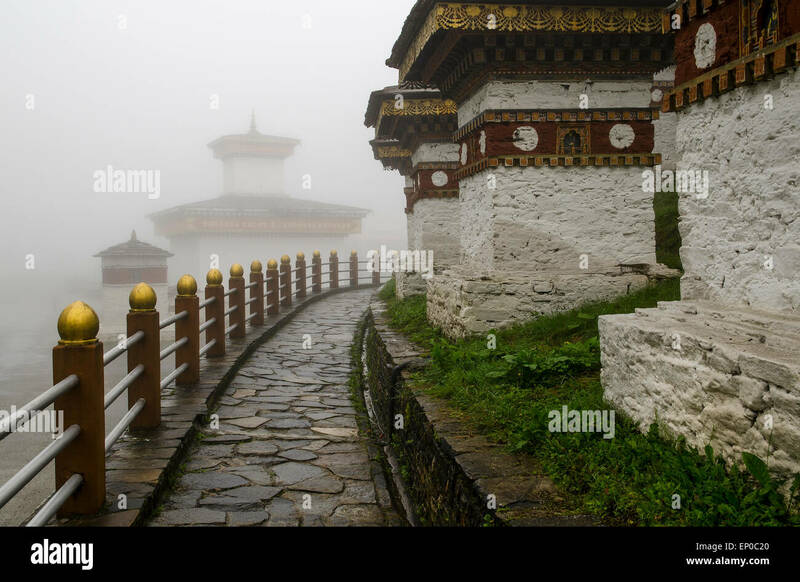 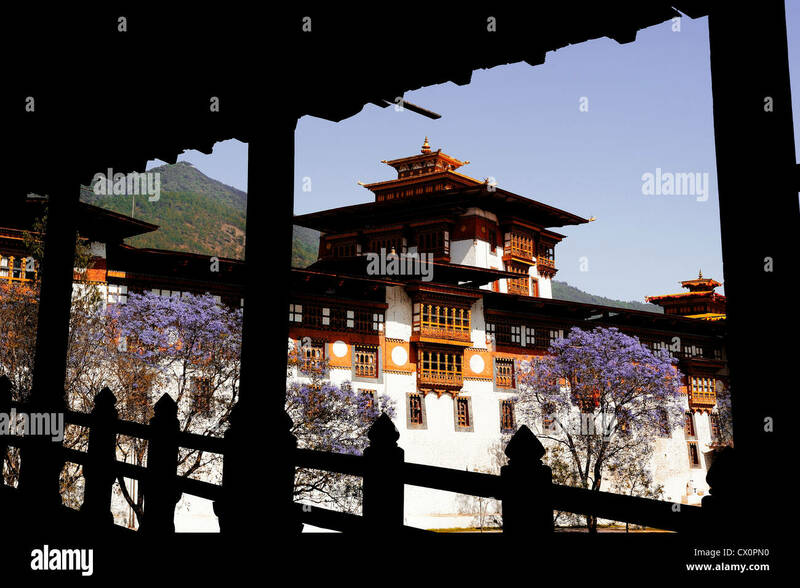 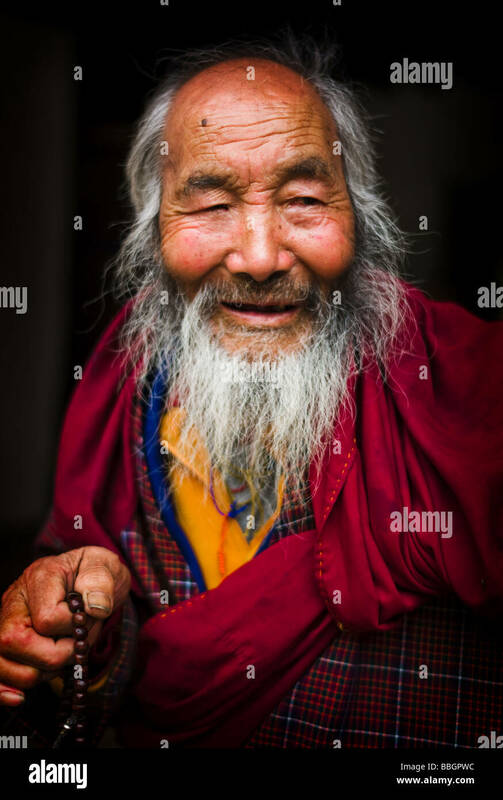 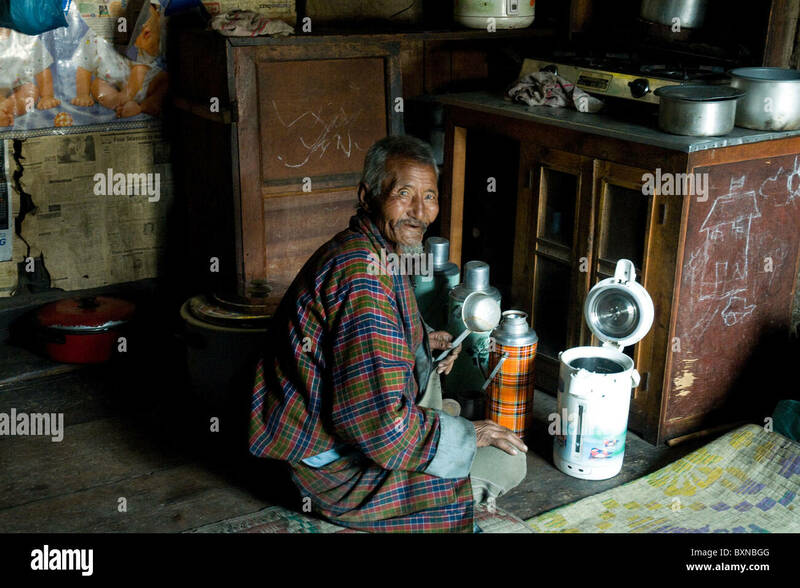 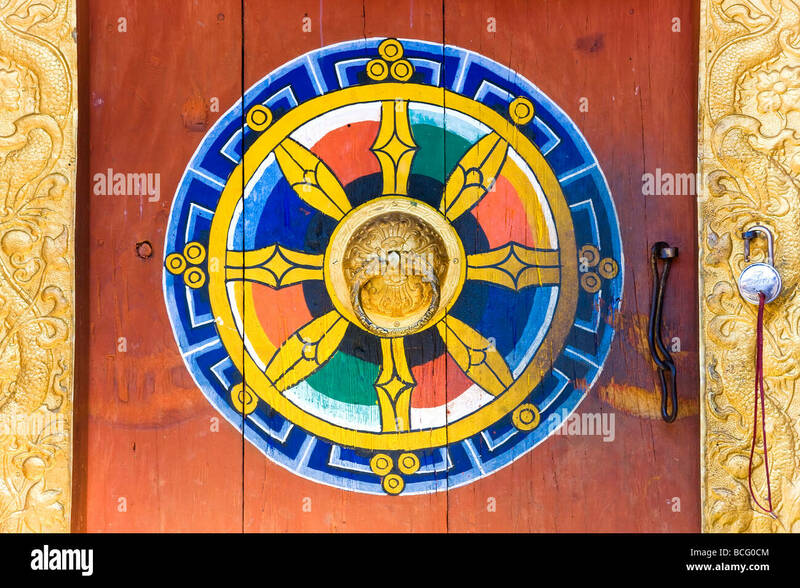 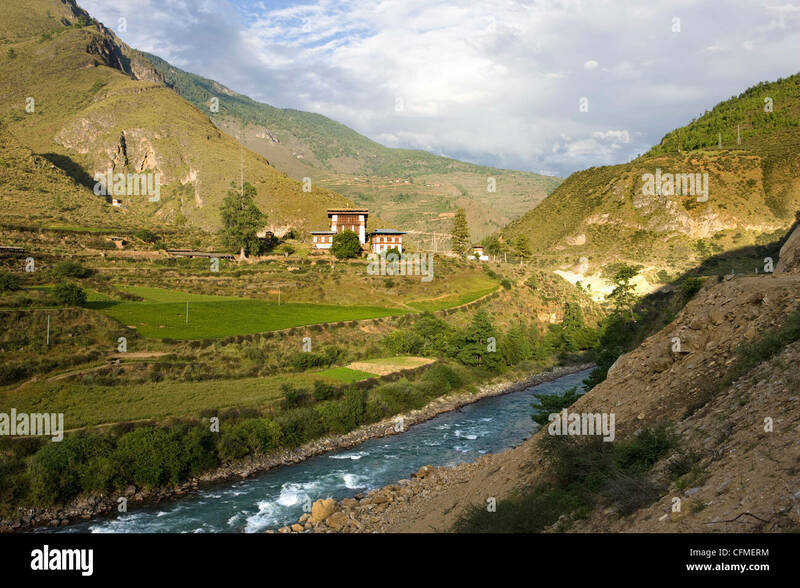 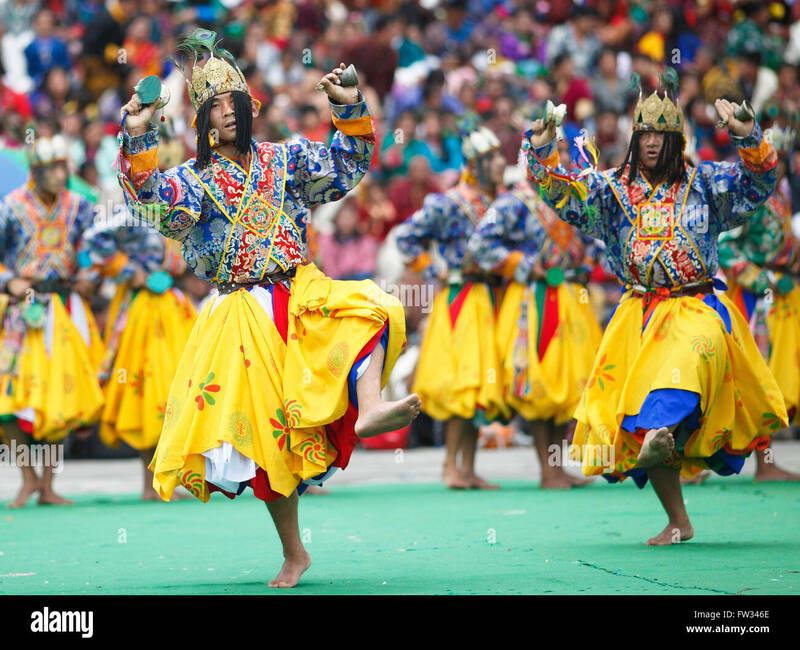 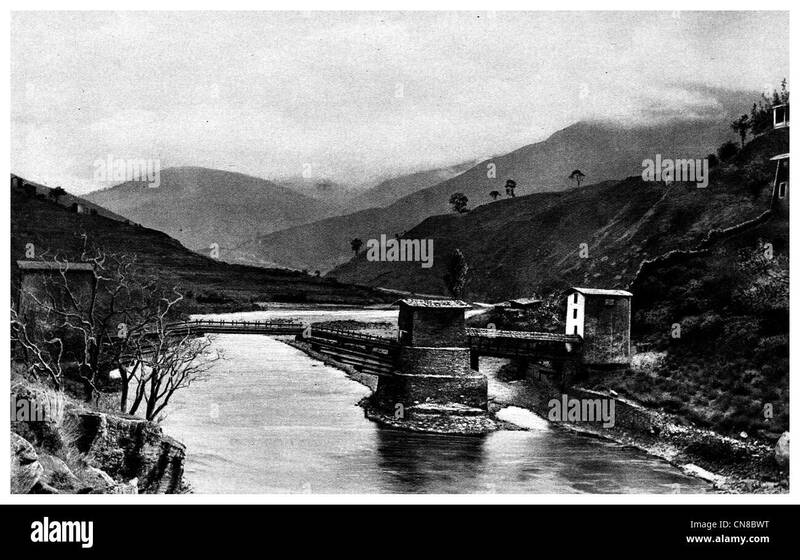 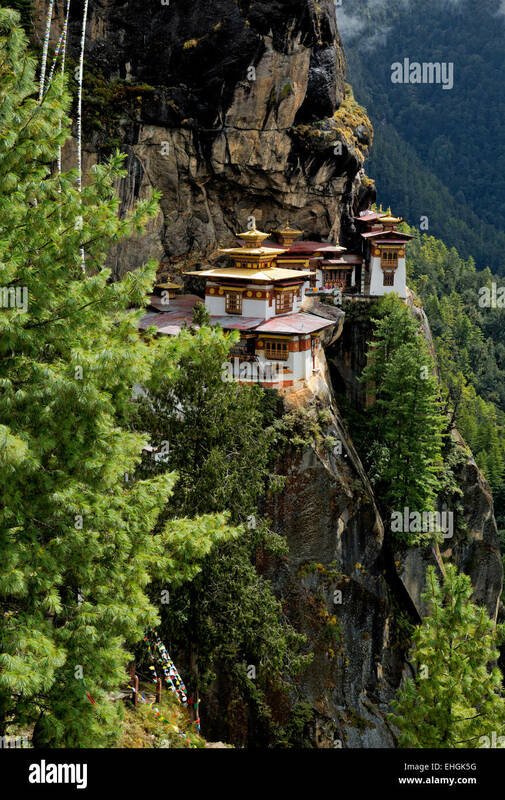 Bhutan. 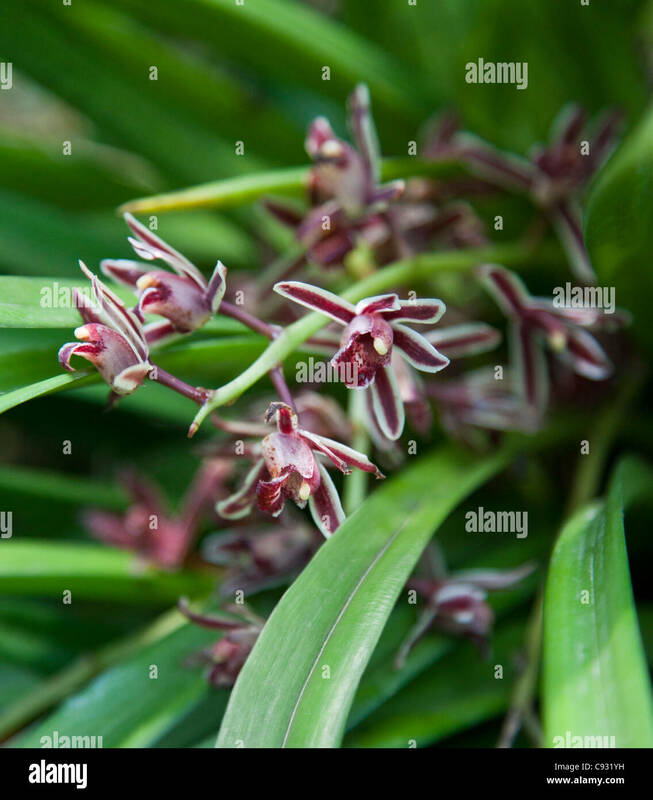 The beautiful orchid Cymbidium aloifolium, which is found in Asia and the Far East. 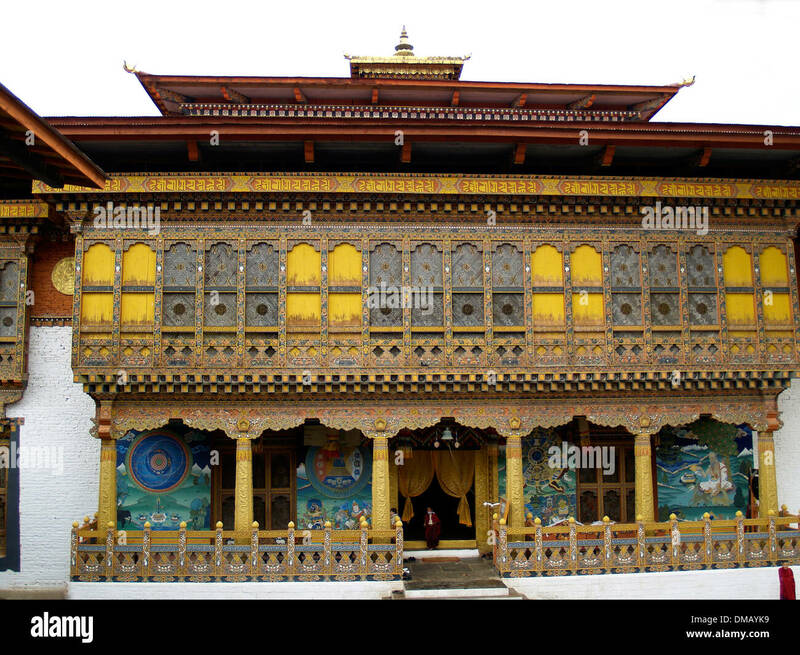 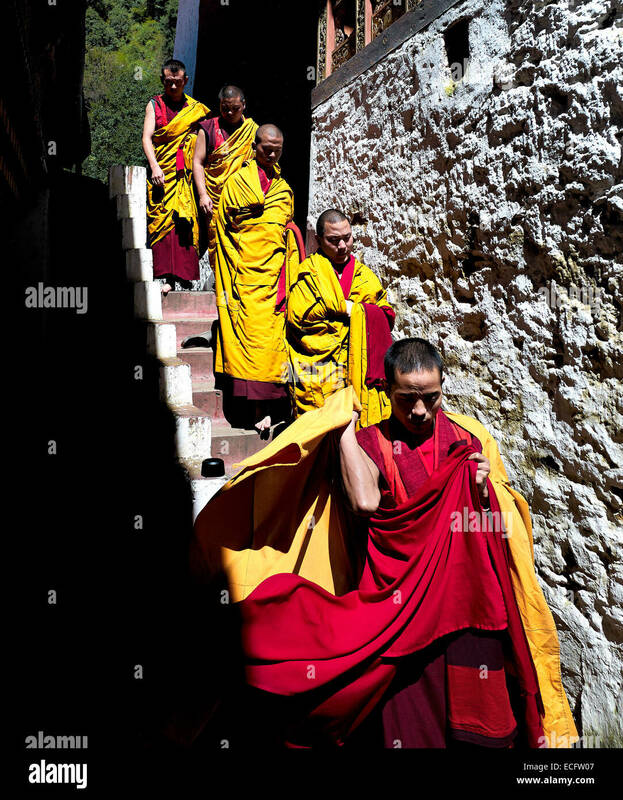 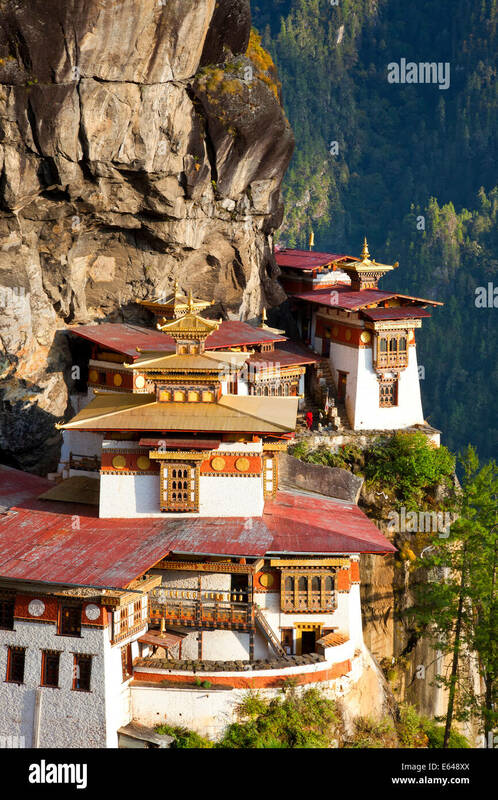 The Tigers Nest Monastery is perched on the cliff face of the mountains near Paro, Bhutan. 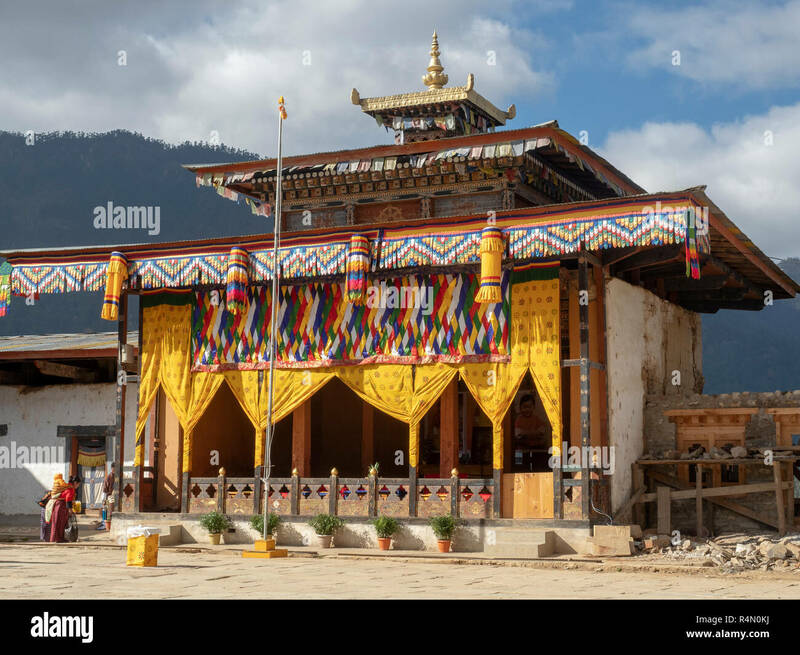 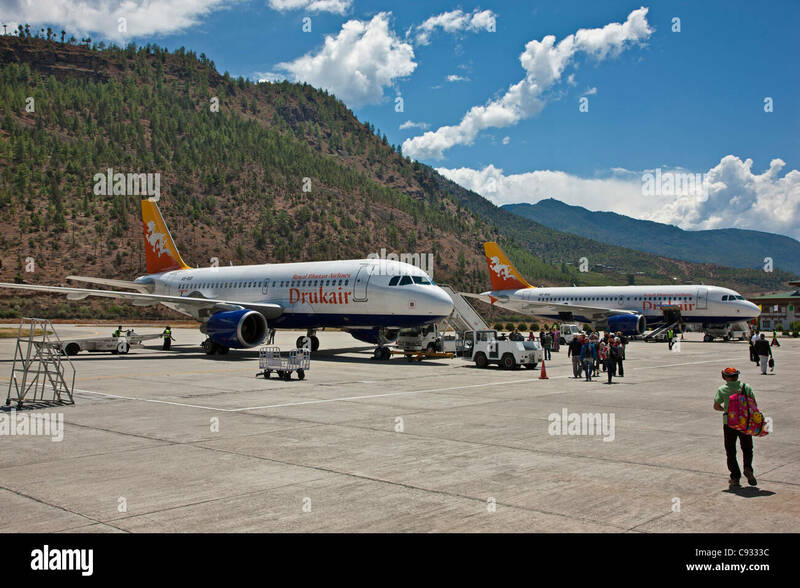 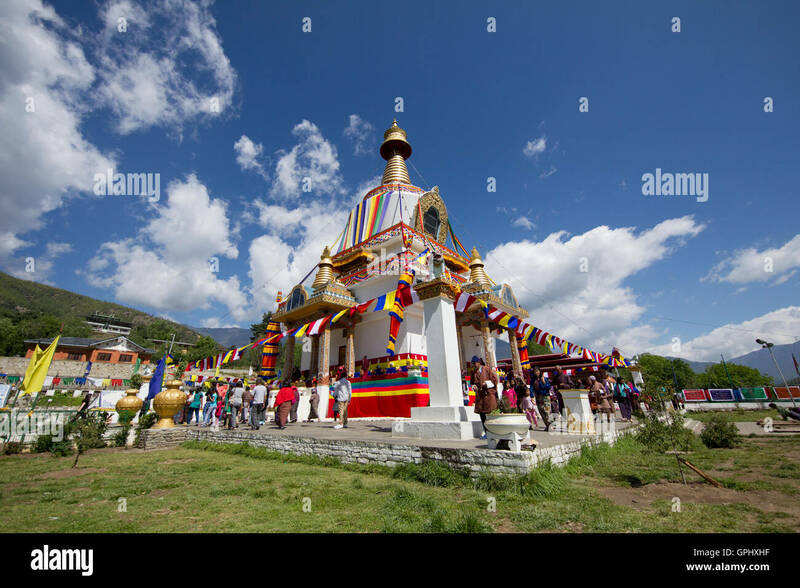 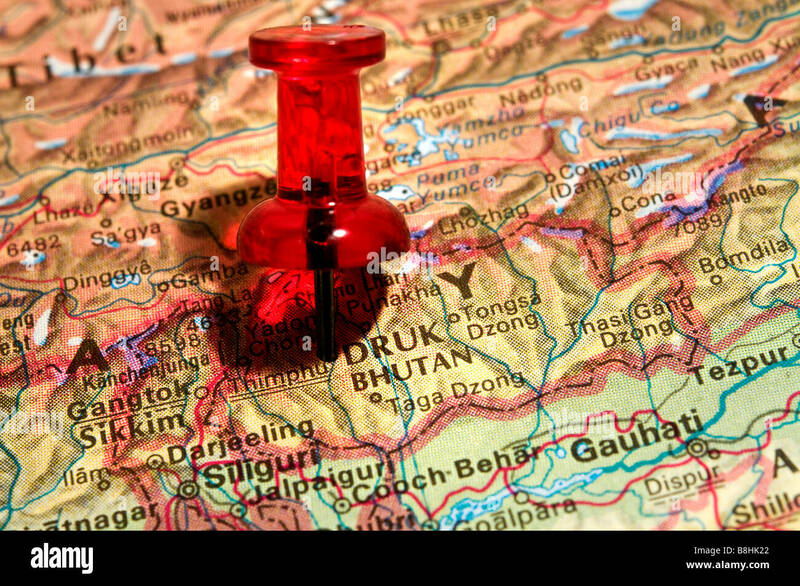 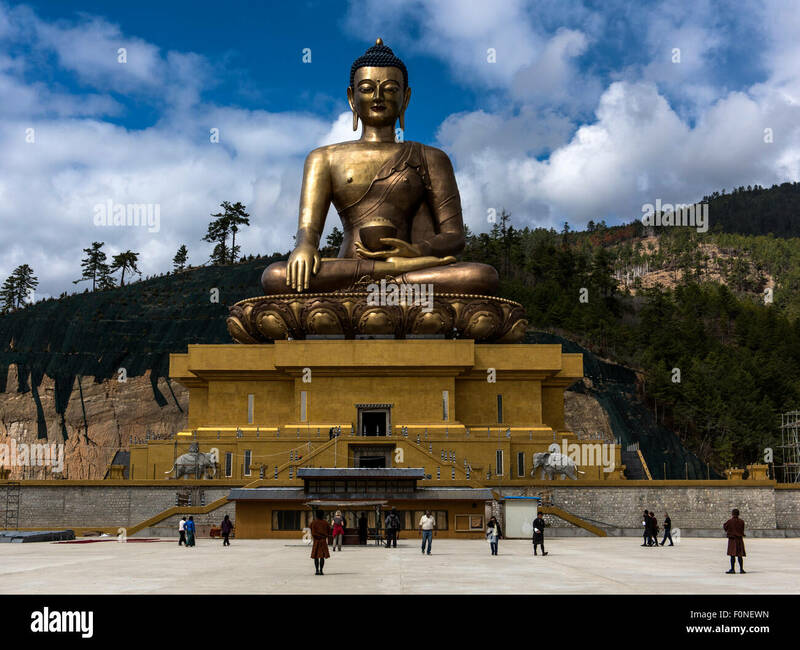 Bhutans only airport is situated at high altitude on the outskirts of Paro. 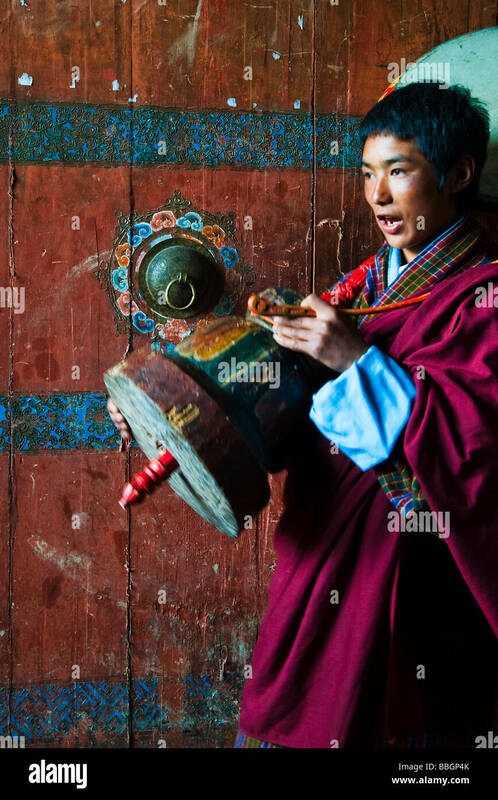 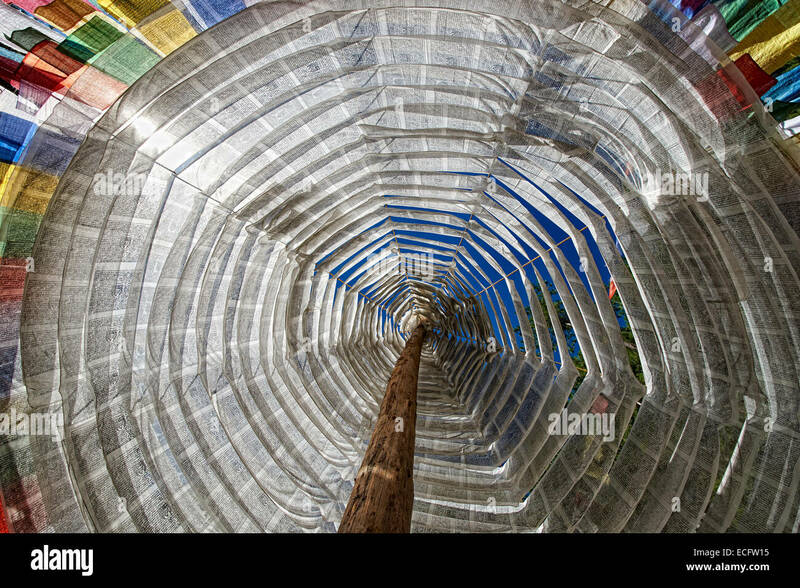 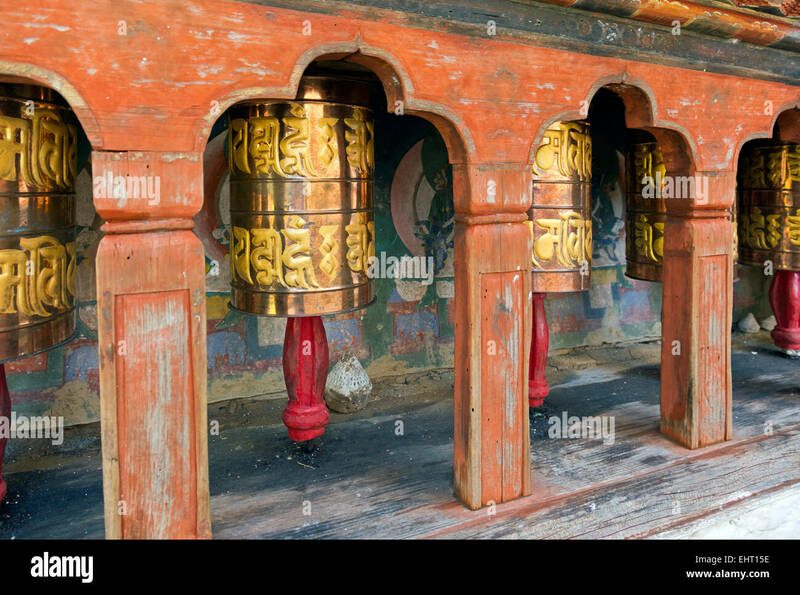 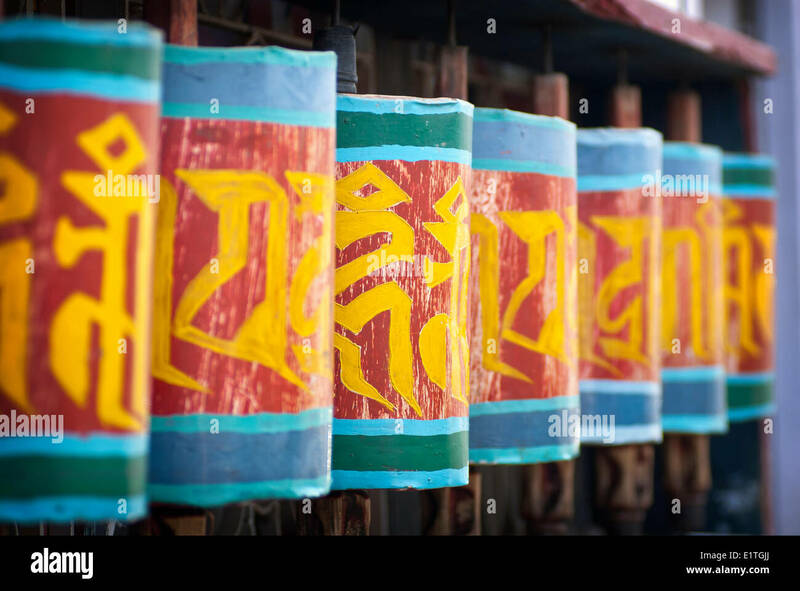 BU00367-00...BHUTAN - Prayer wheels at Kyichu Lhakhang near Paro, one of the oldest Temples in Bhutan. 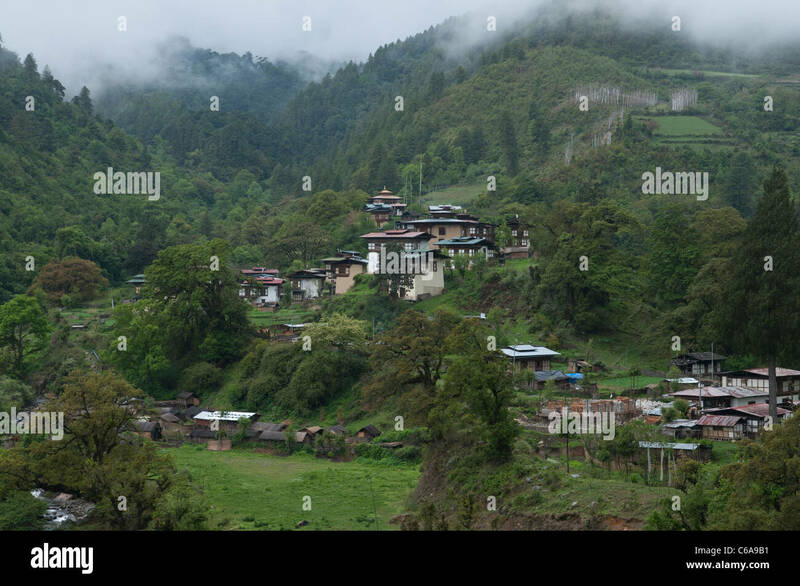 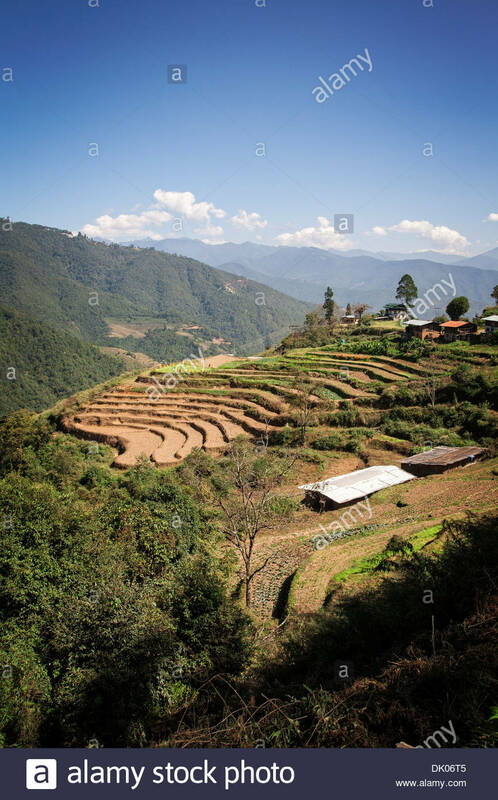 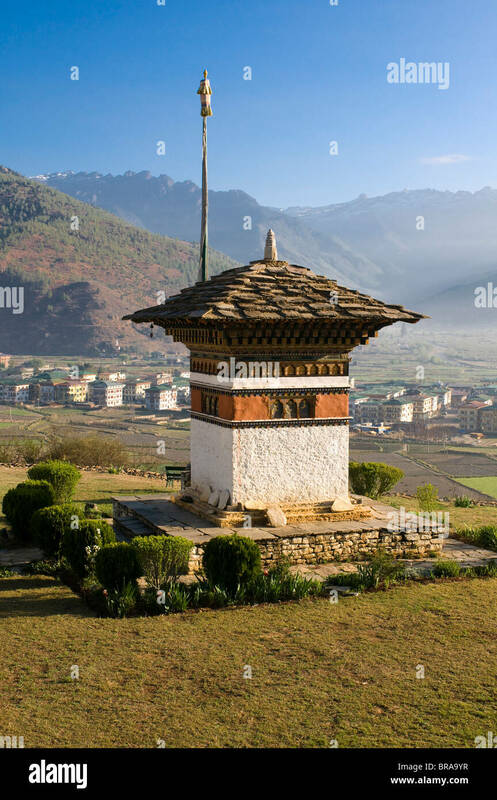 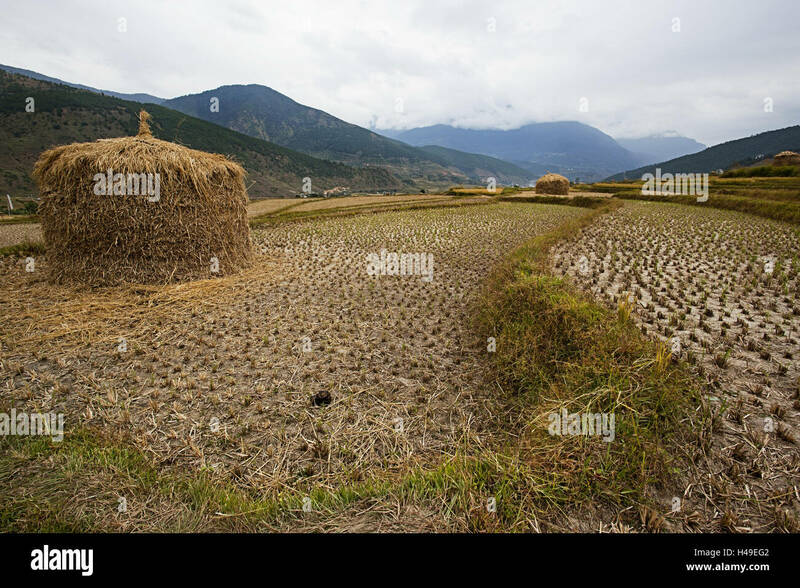 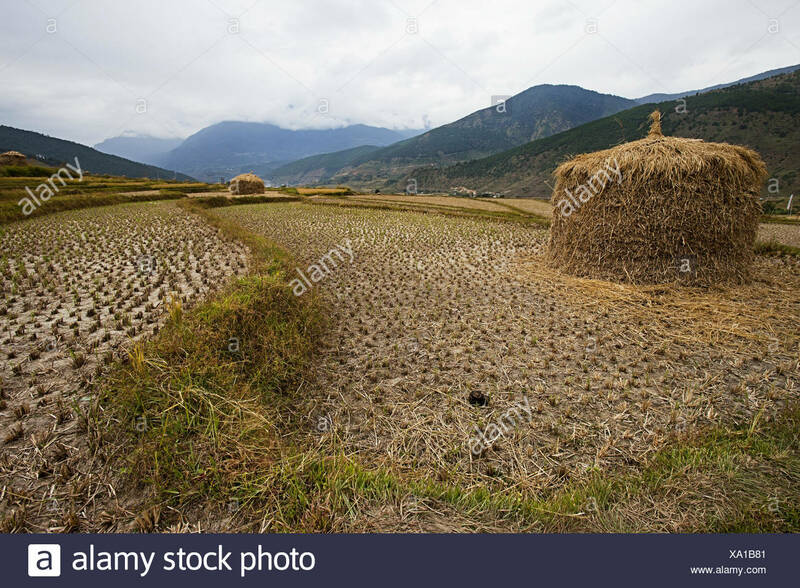 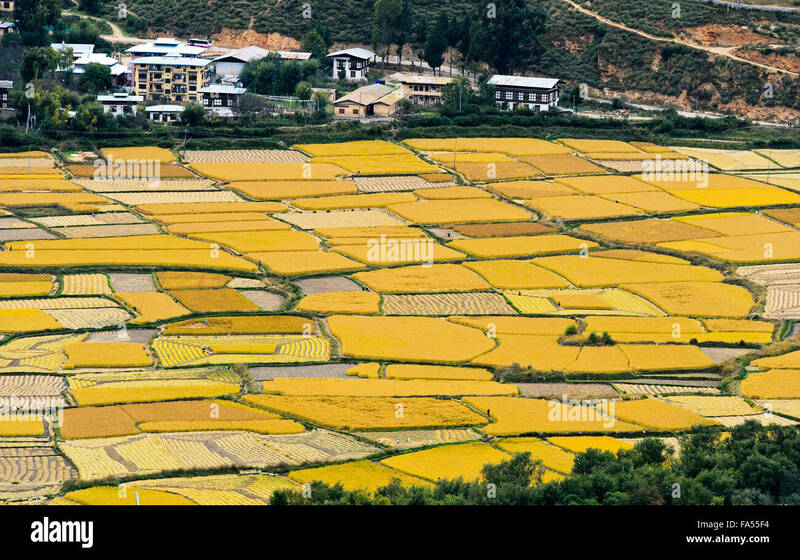 A rural mountain area between Thimphu and Punakha. 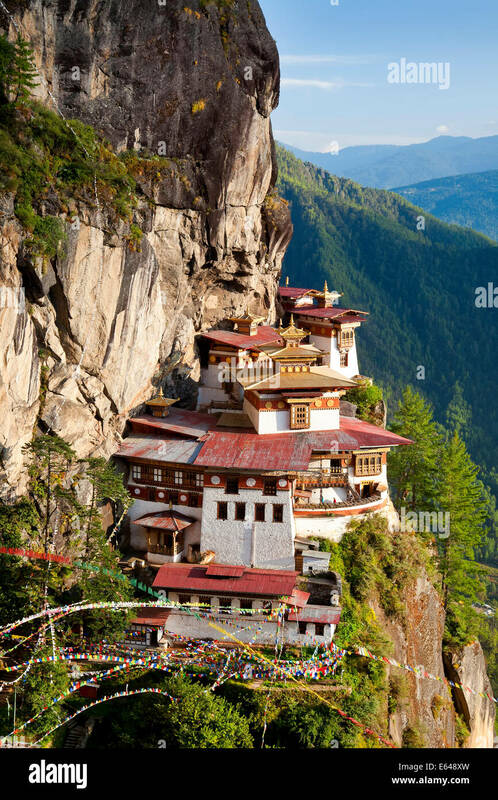 Bhutan. 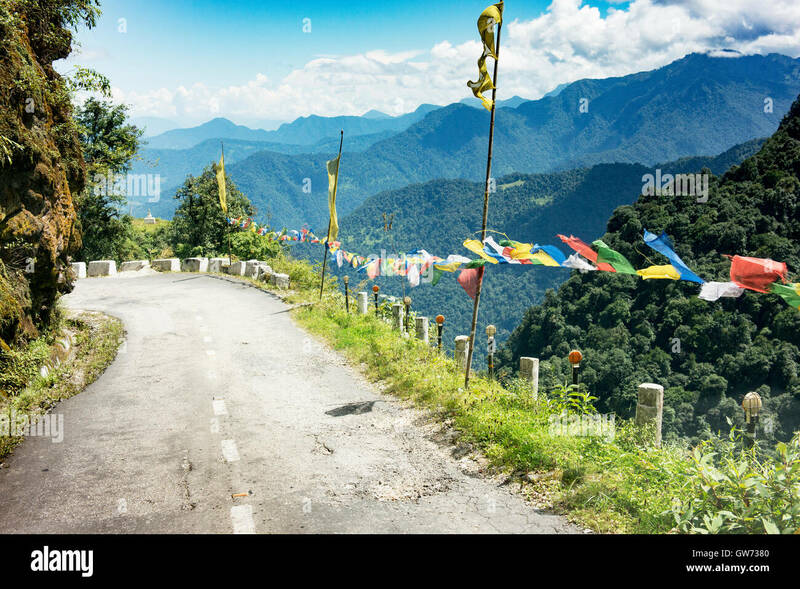 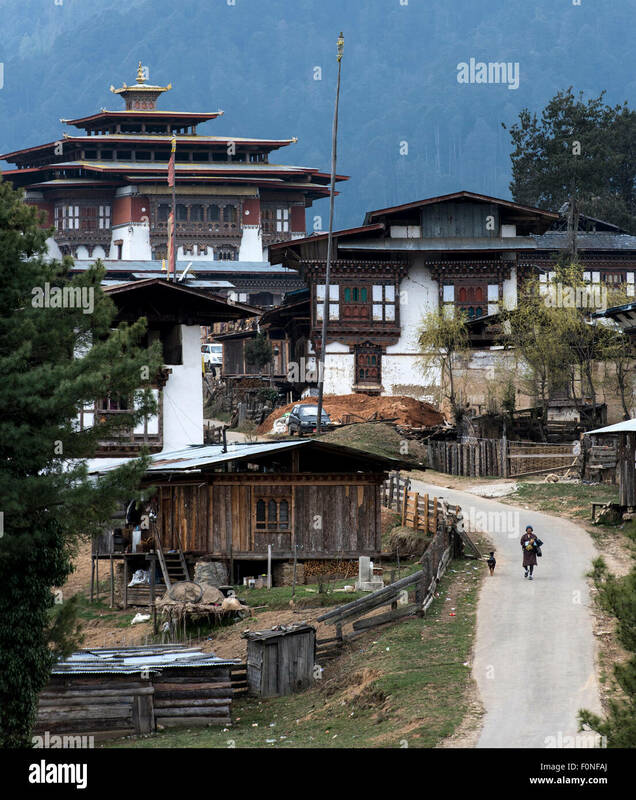 Precarious road travel in Bhutan, near Trashigang. 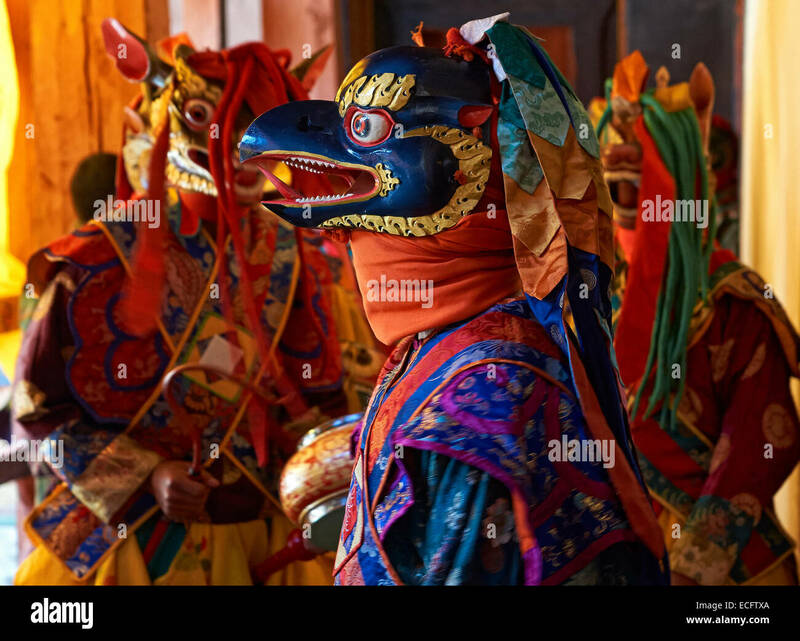 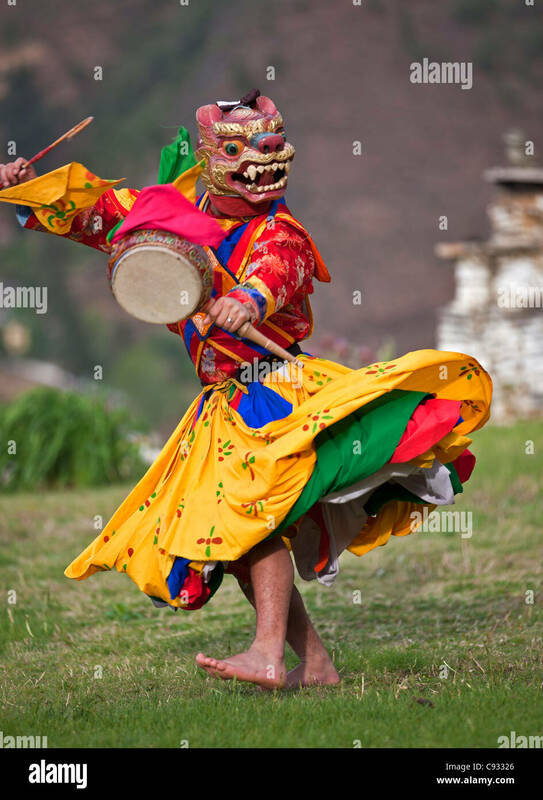 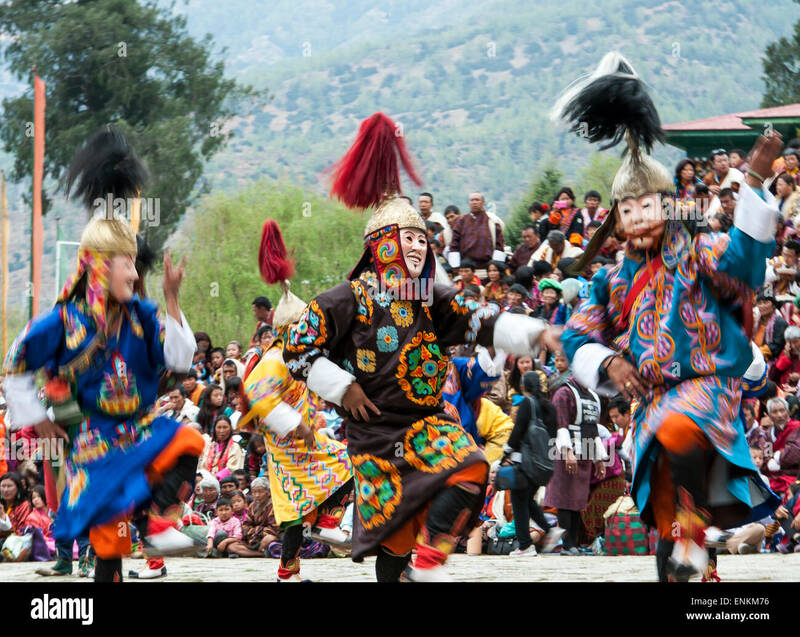 A masked dancer with a lag nga and bent drumstick performs Drametse Nga Cham. 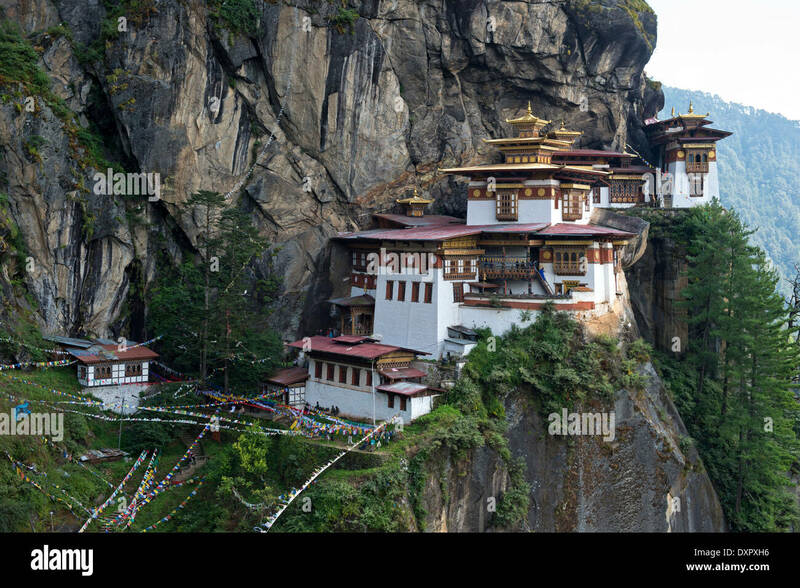 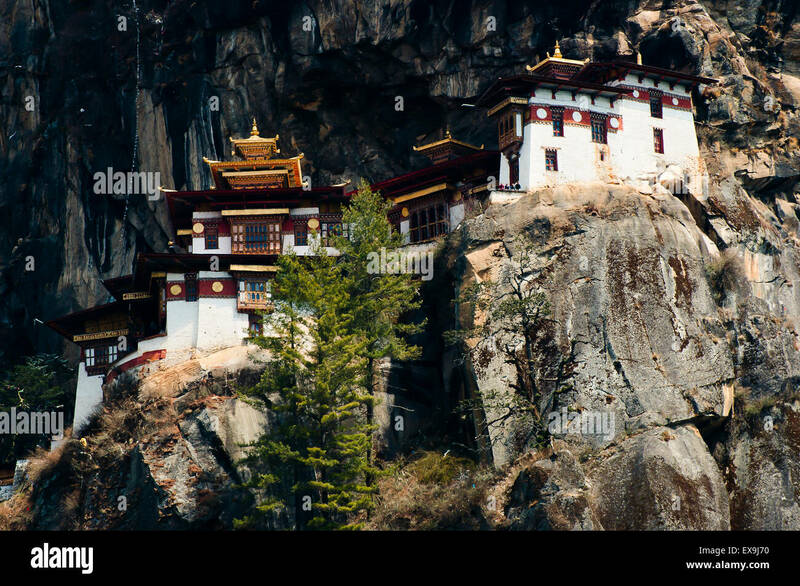 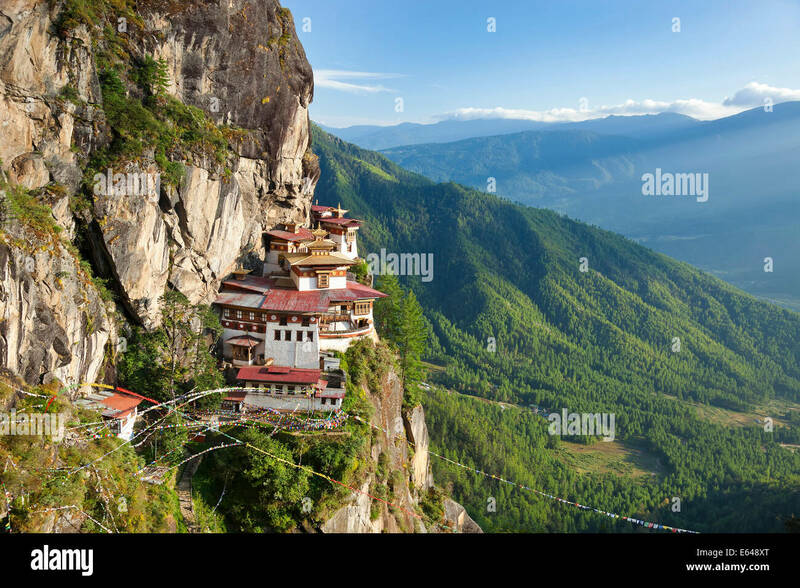 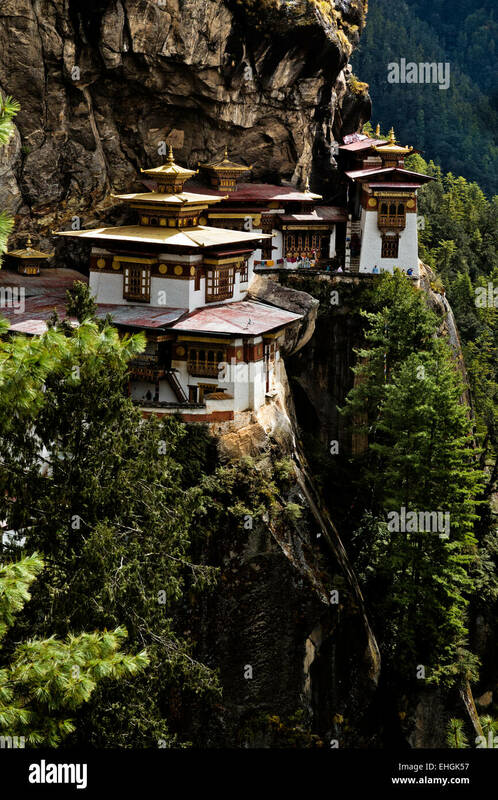 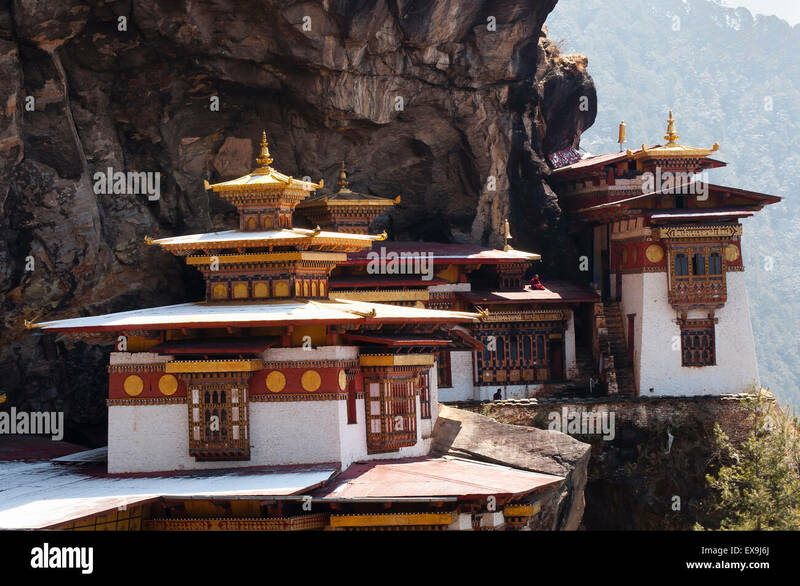 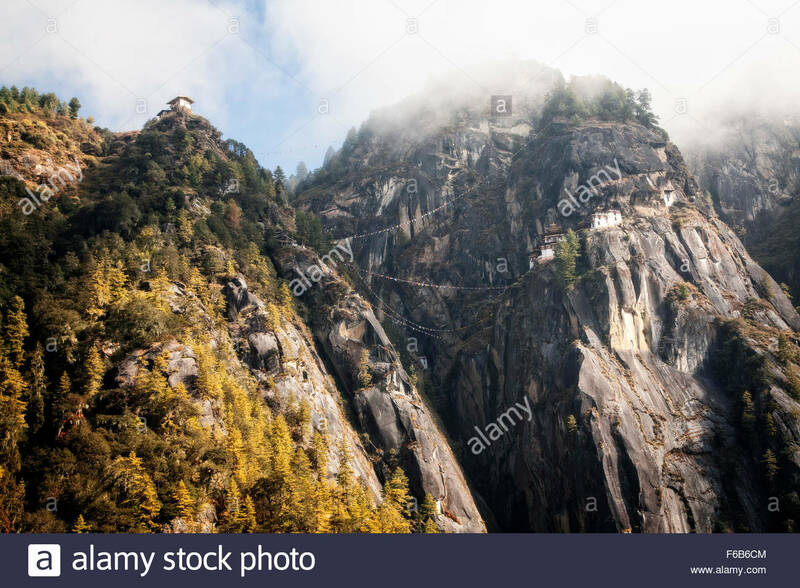 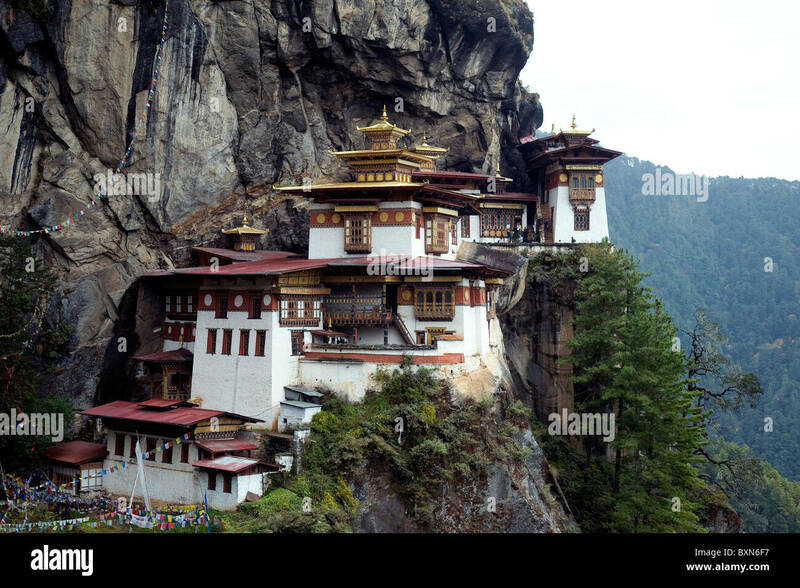 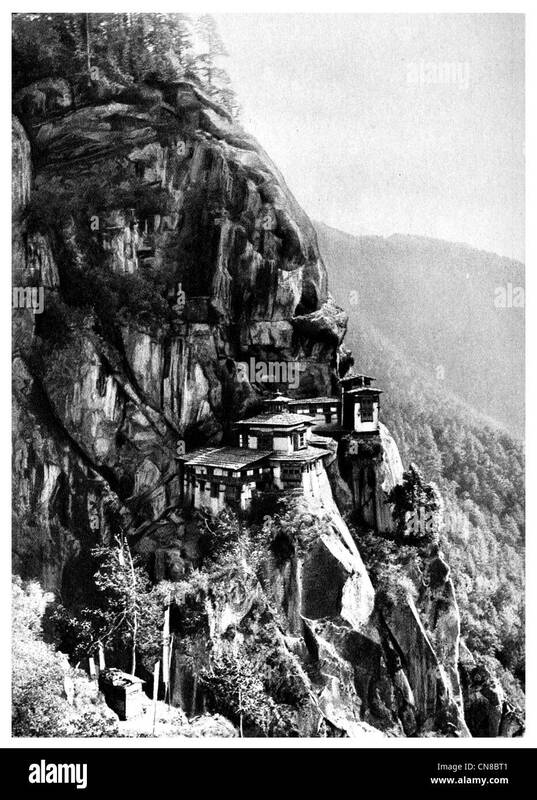 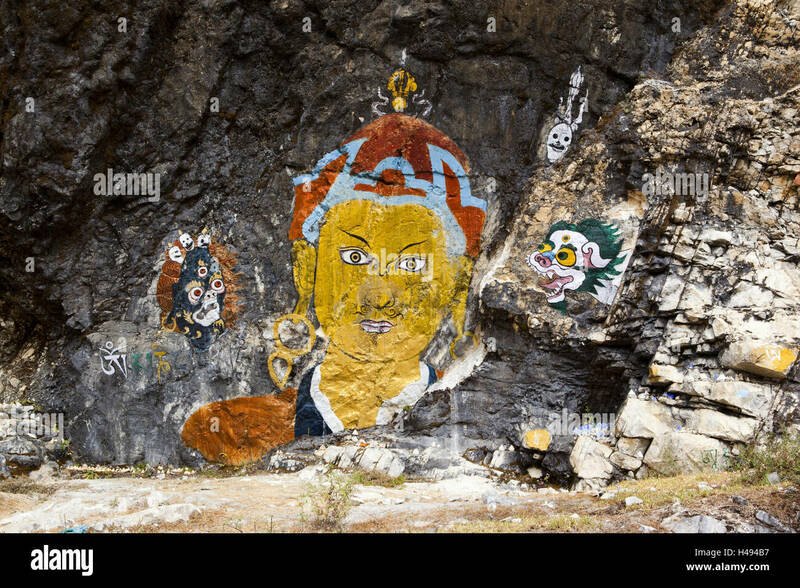 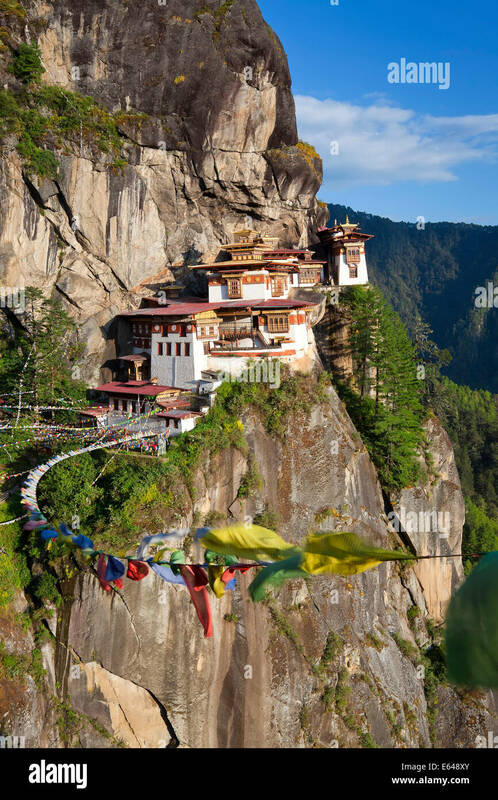 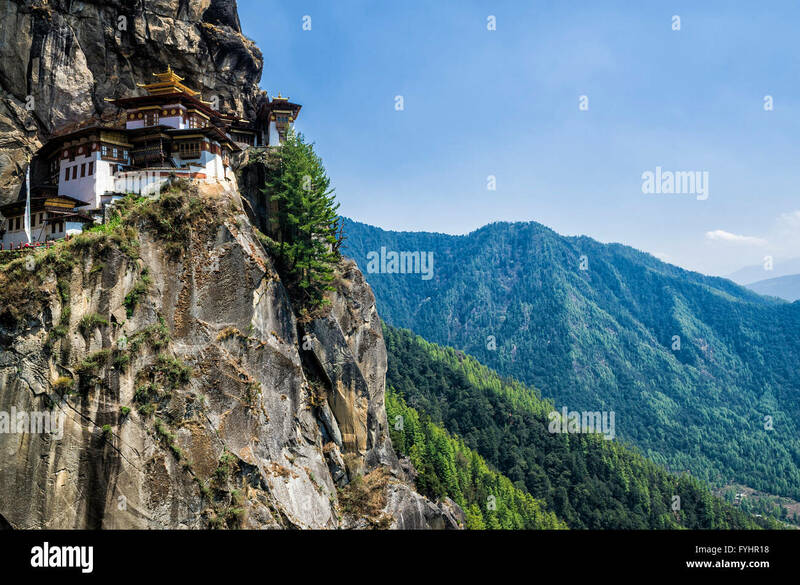 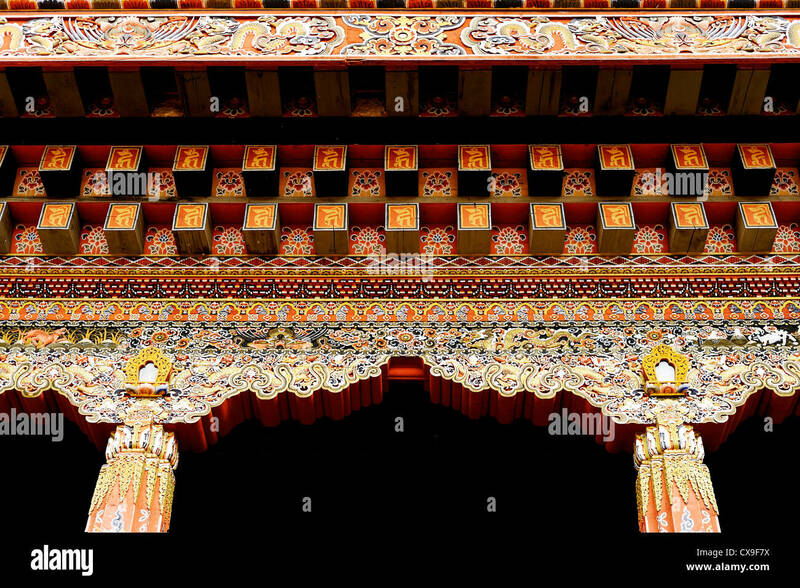 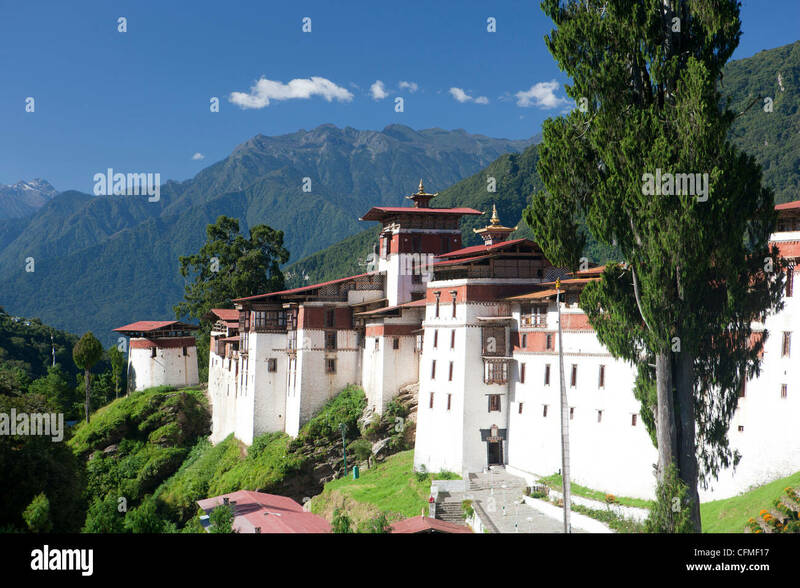 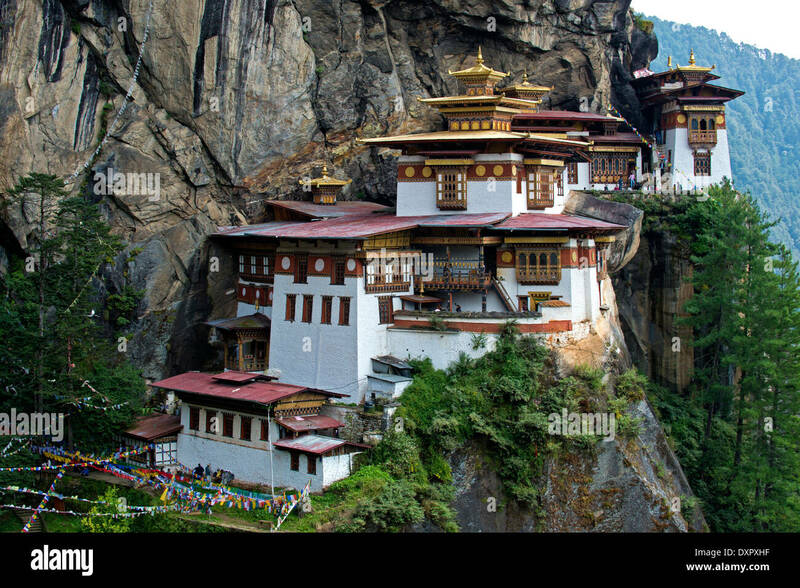 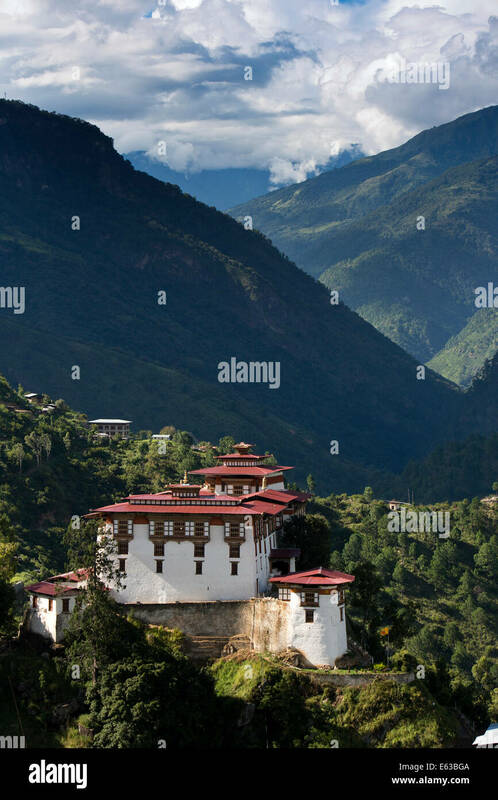 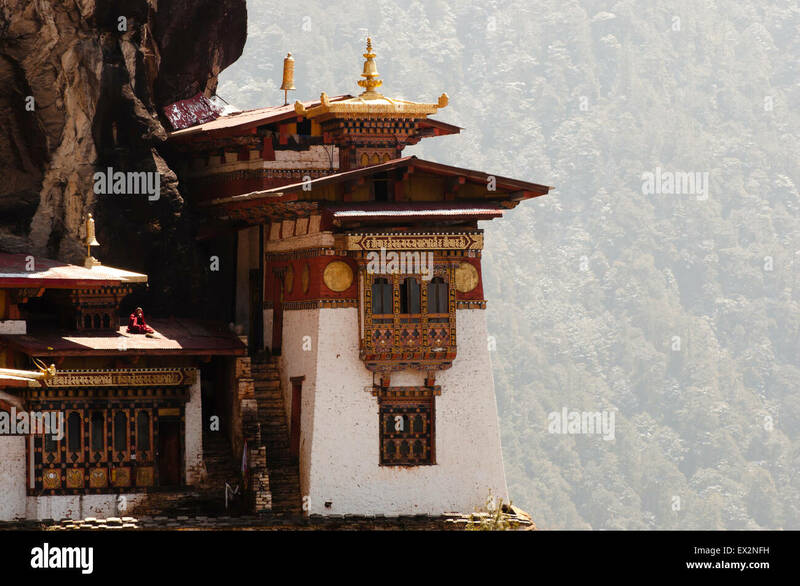 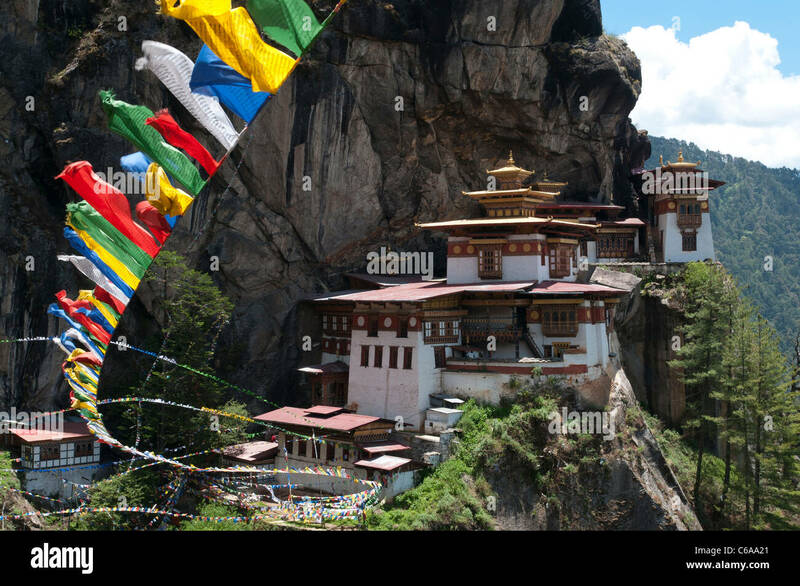 BHUTAN - Taktshang Goemba, (the Tiger's Nest Monastery), perched on the side of a cliff high above the Paro River Valley. 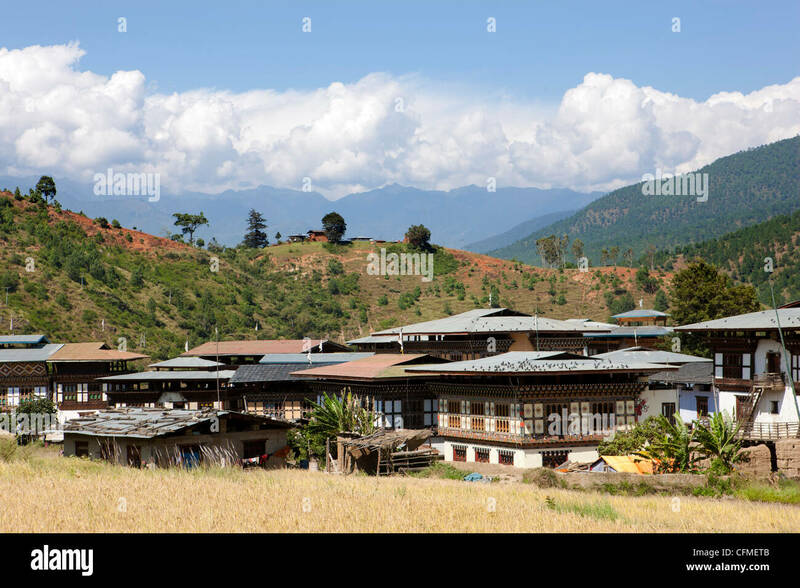 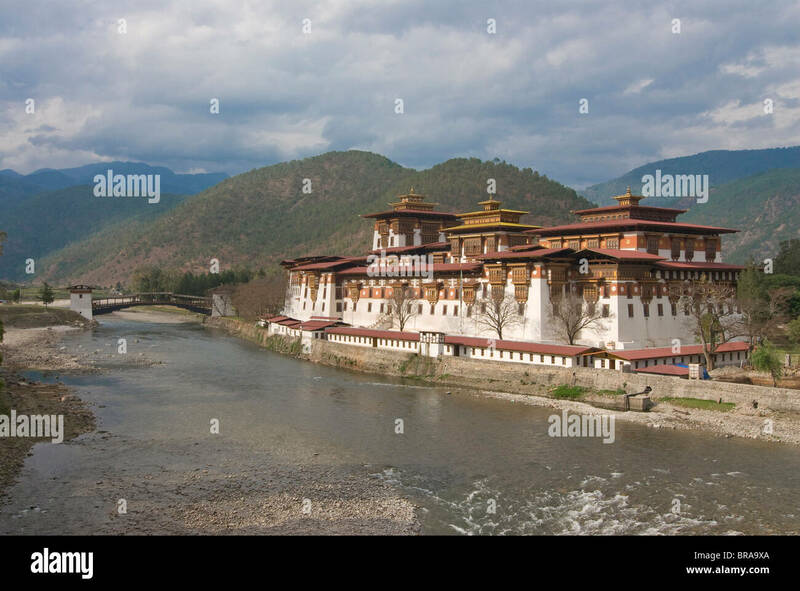 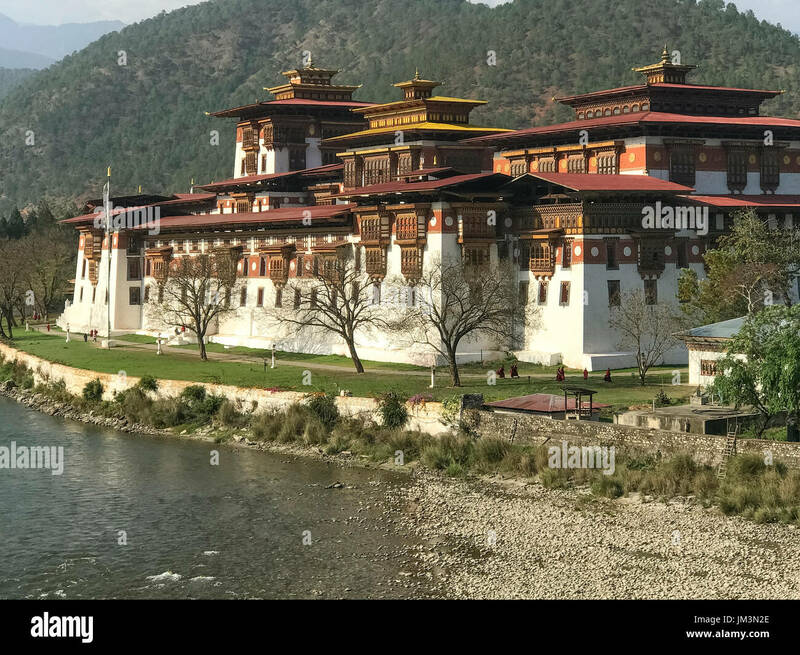 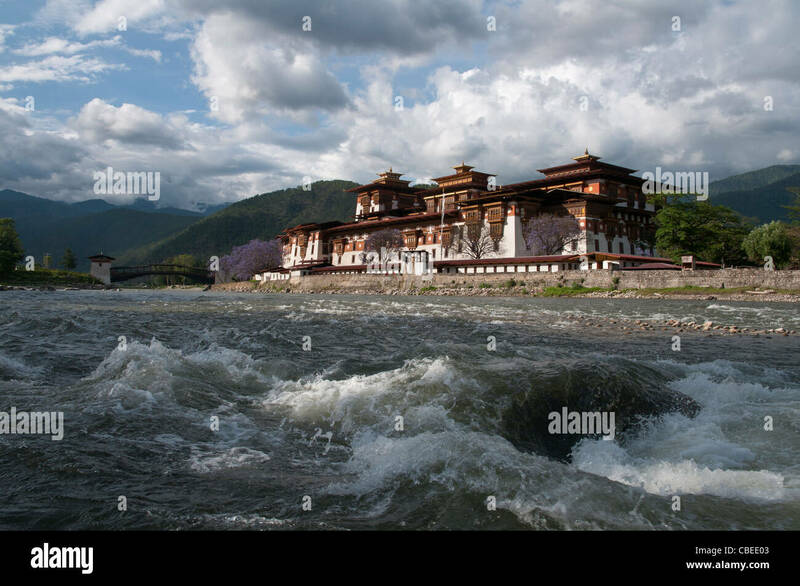 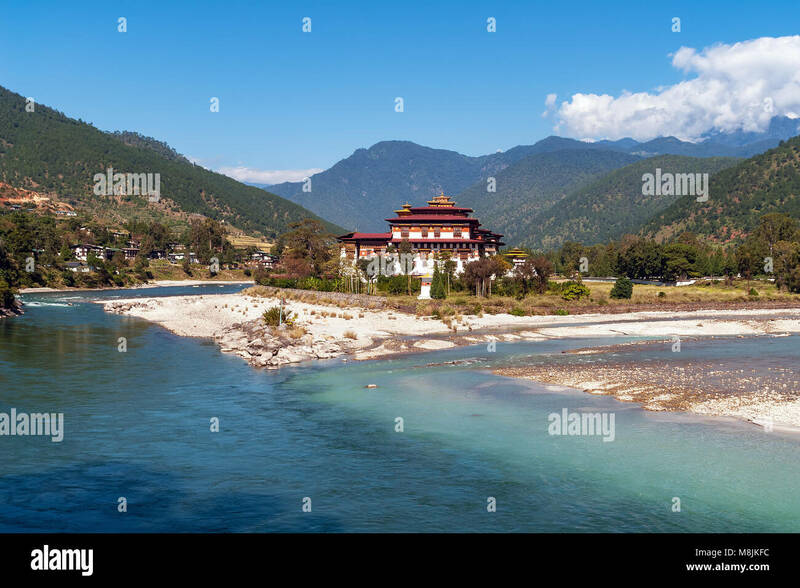 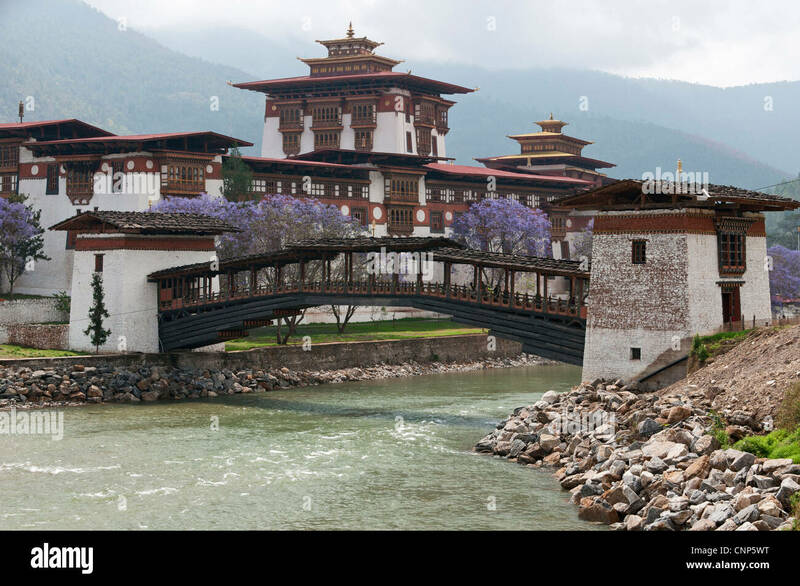 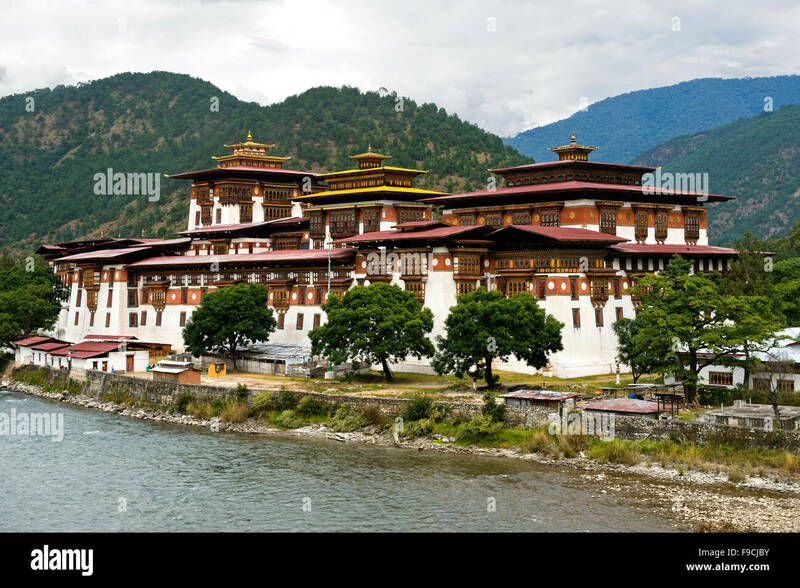 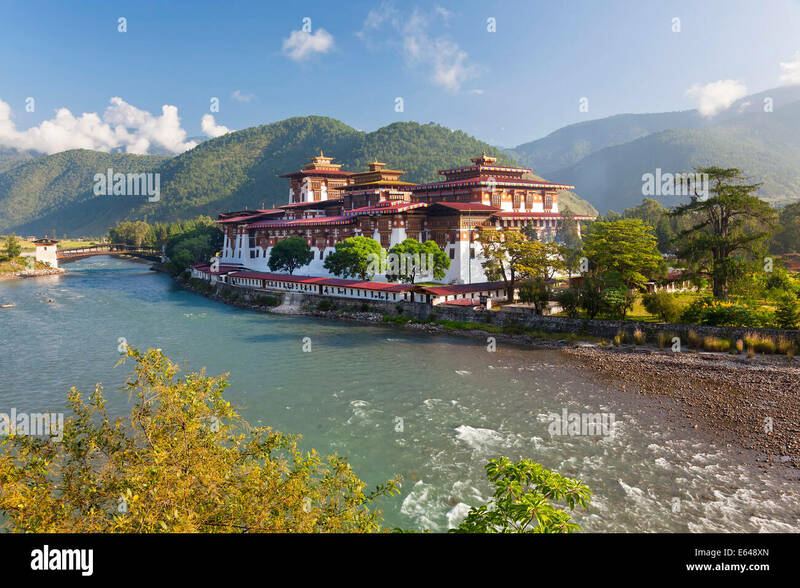 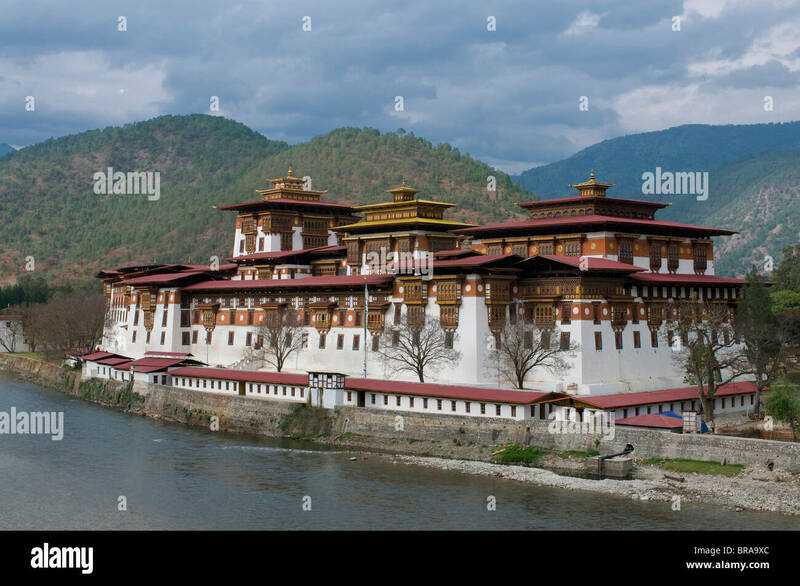 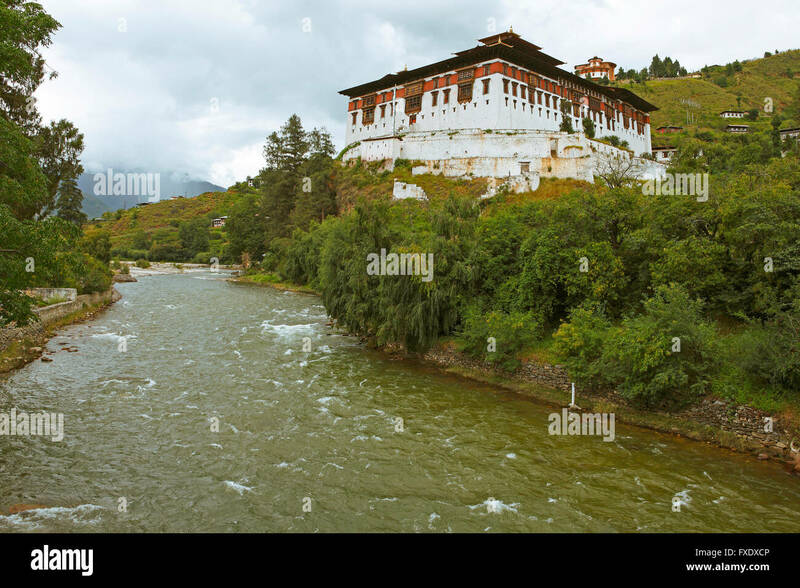 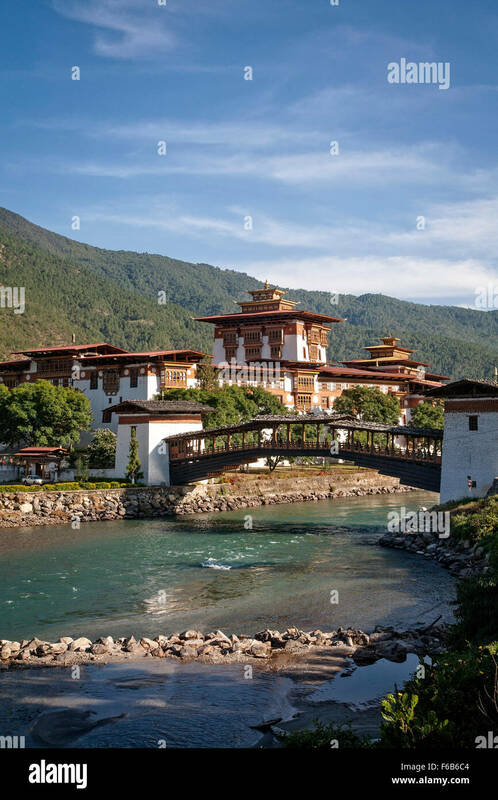 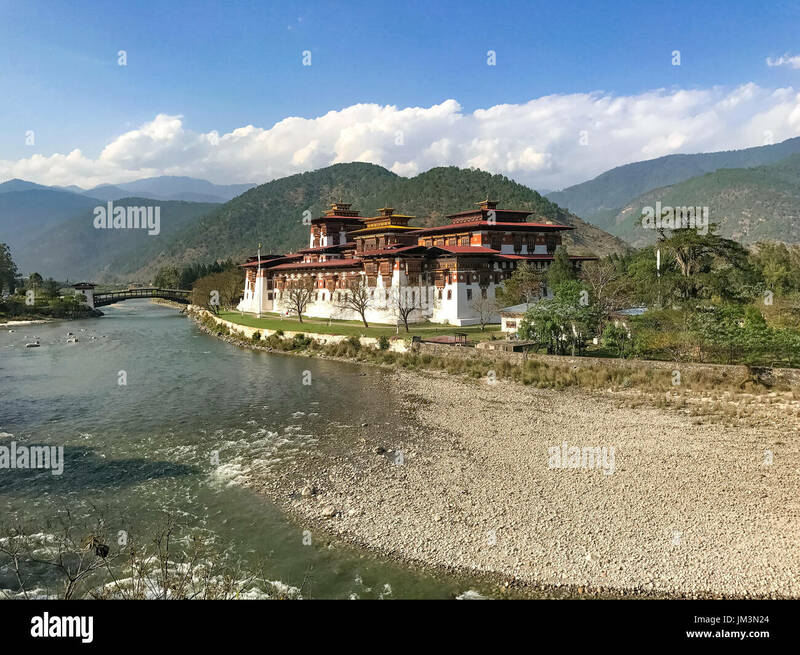 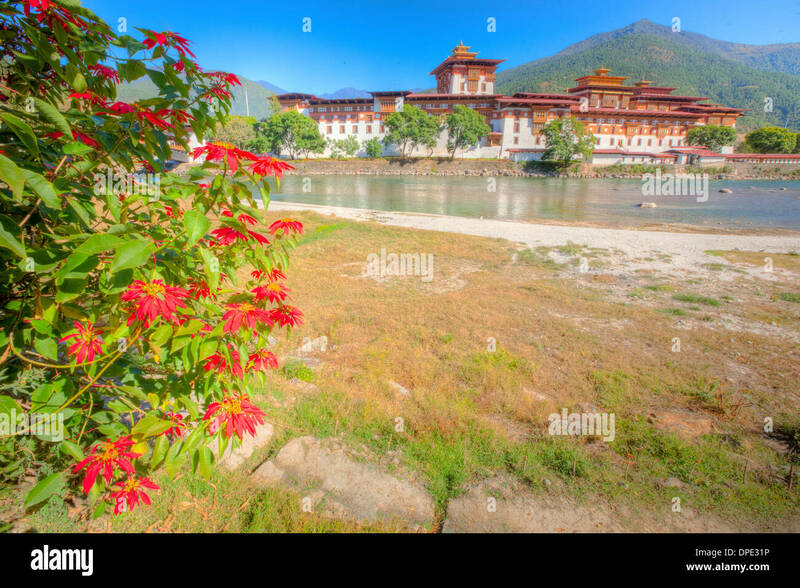 The Punakha Dzong (fortress) at the confluence of the Mo and Pho Chhu (rivers). 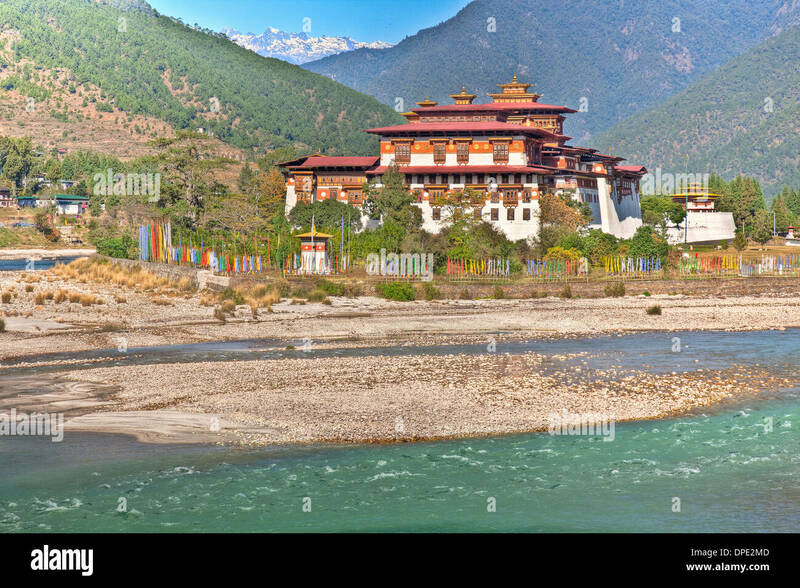 Bhutan. 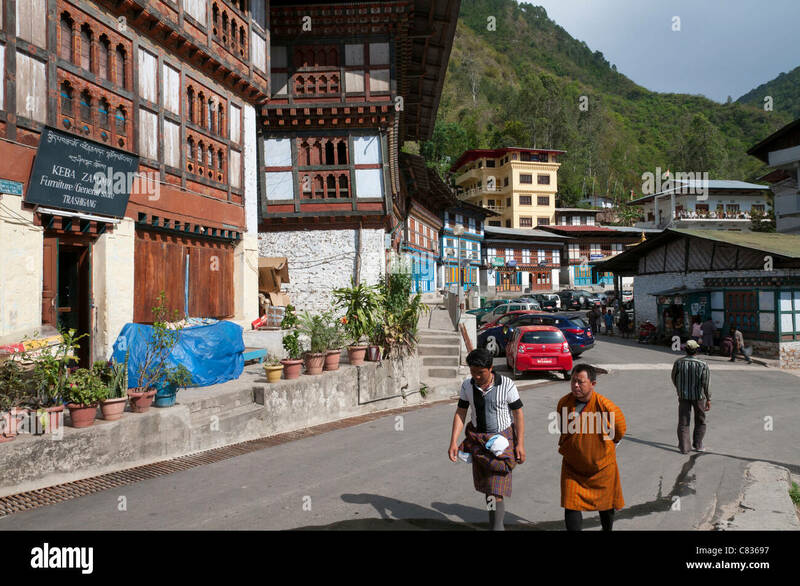 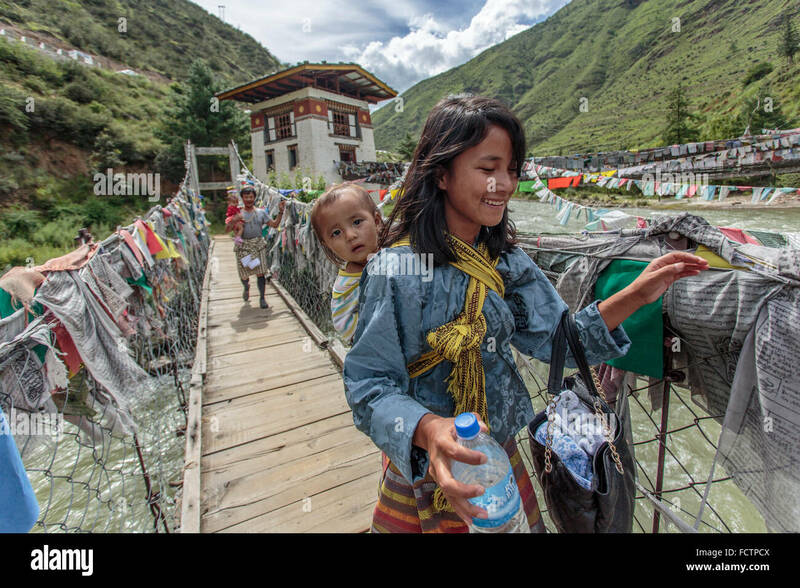 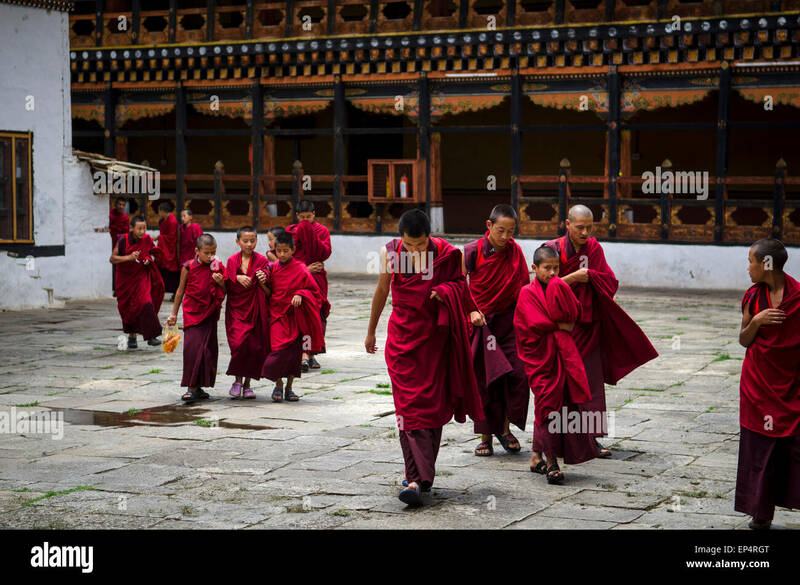 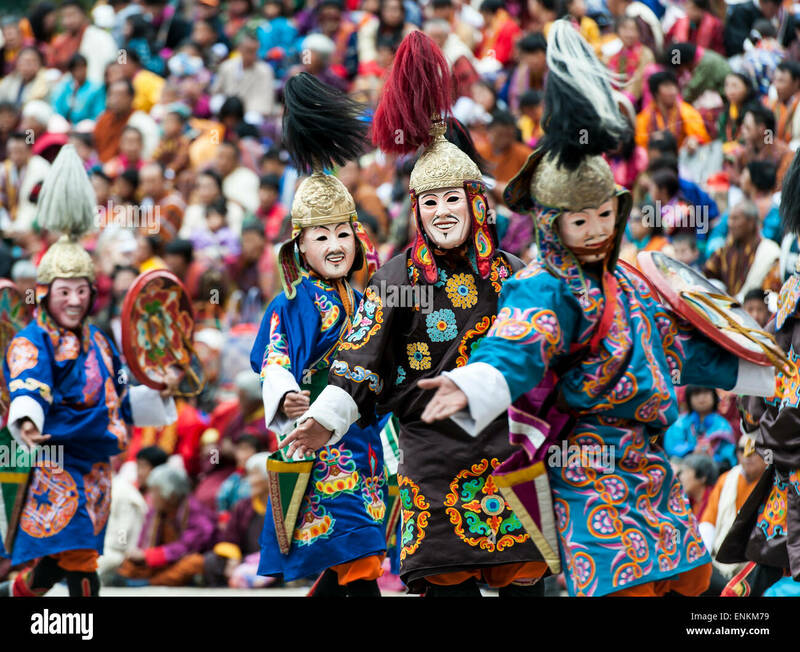 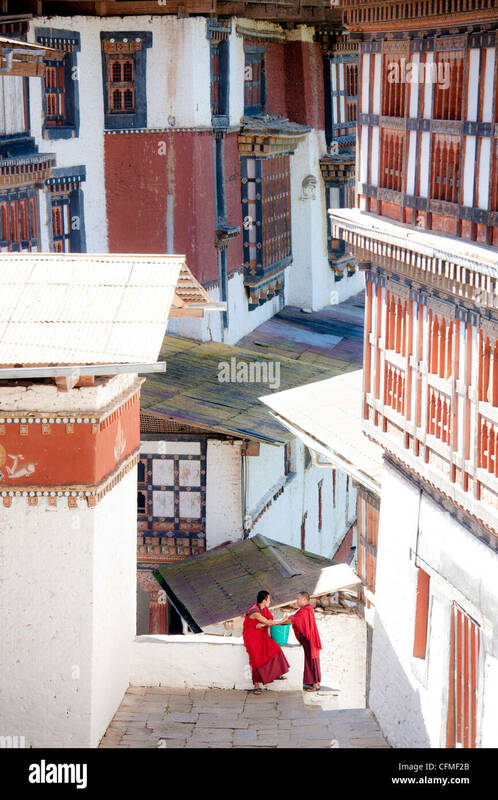 Students walking to college in Thimphu, capital city of the Kingdom of Bhutan.